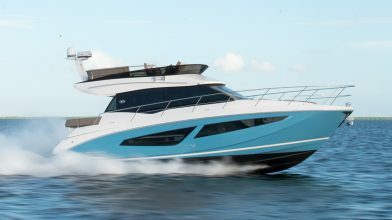 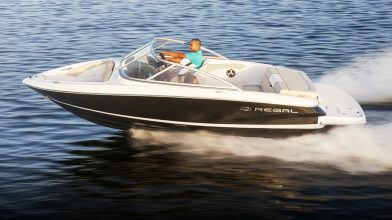 Regal’s 38 XO bridges the gap between our Sport Yacht and Outboard Series and creates a class of its own. 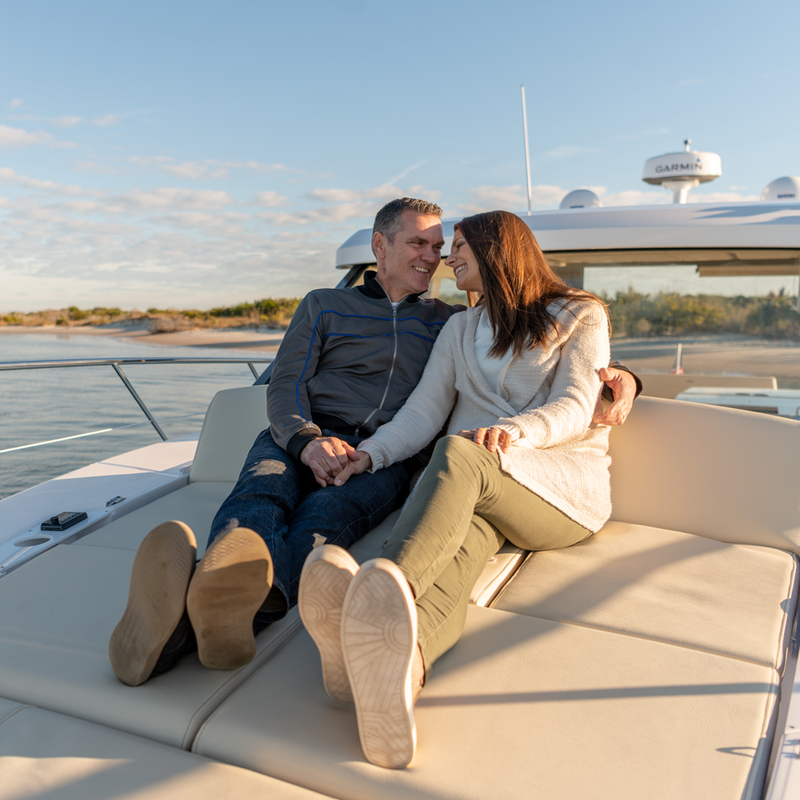 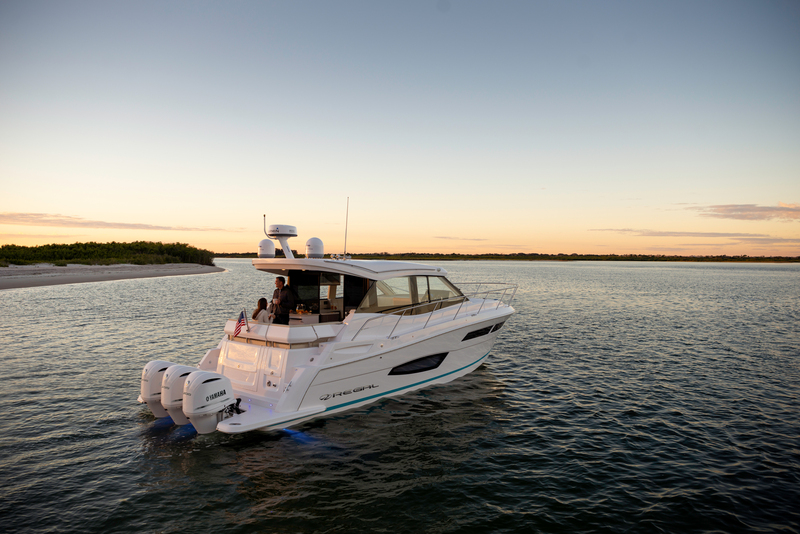 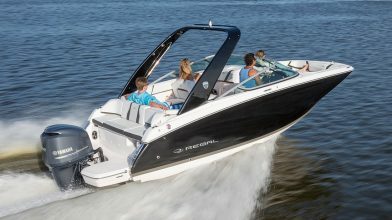 Combining luxury, innovation and the flexibility of outboard power, this Regal provides you the freedom to bring the entire family on whatever adventure you embark on. 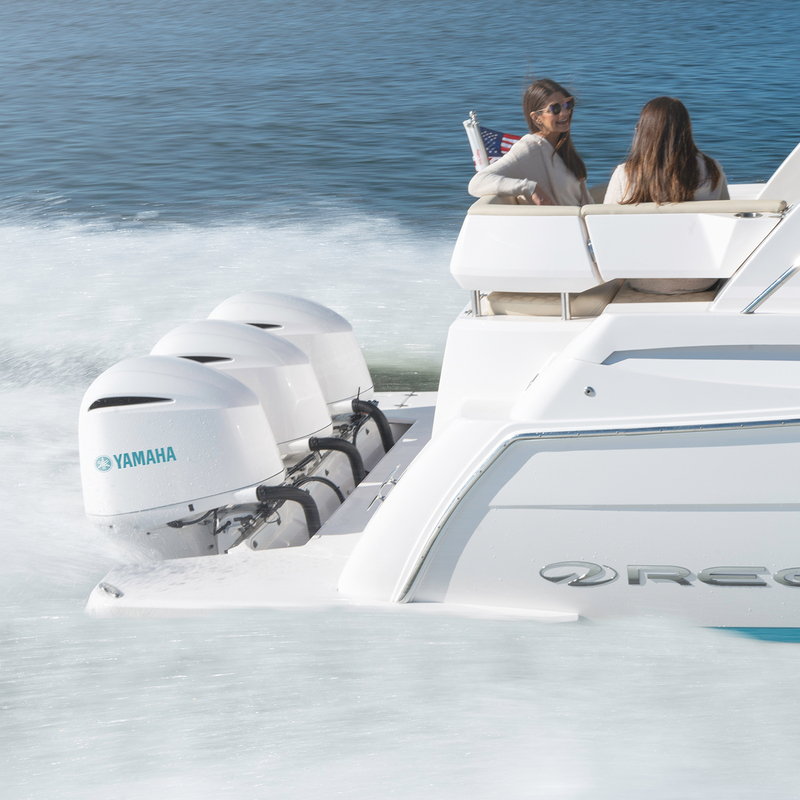 Surround yourself with what you love most. 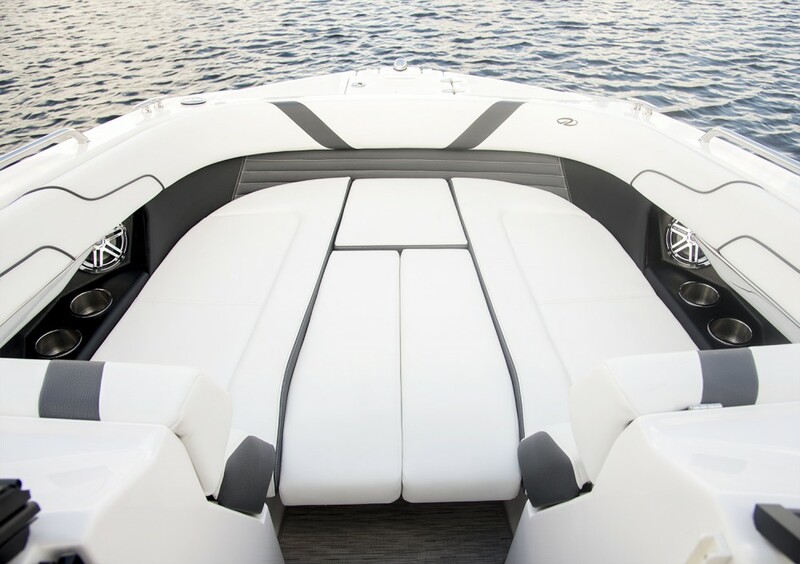 Make your own path with the 38 XO. 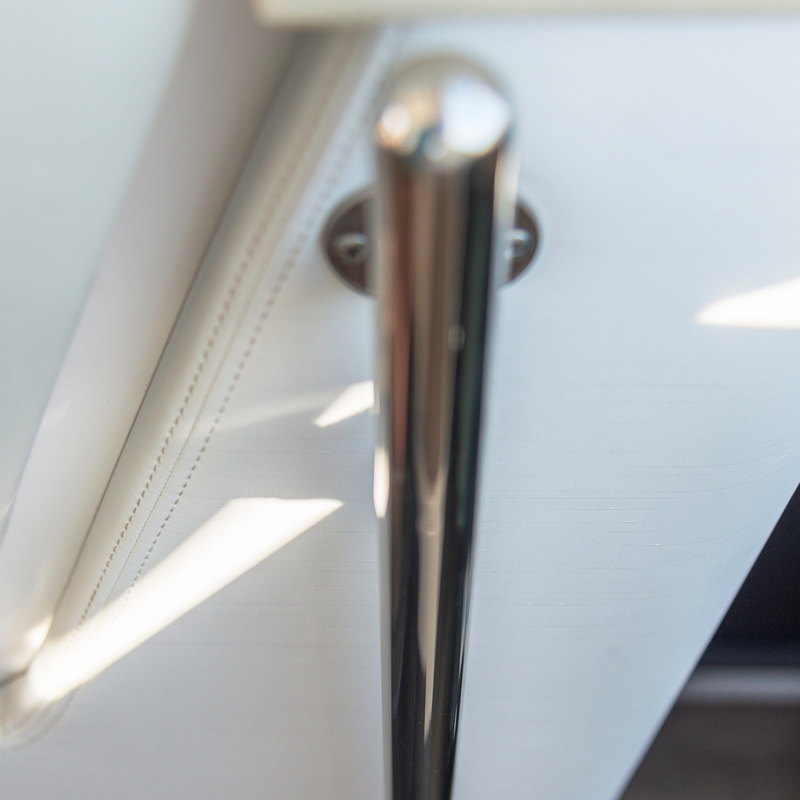 Bring the 38 XO with you on your next journey. 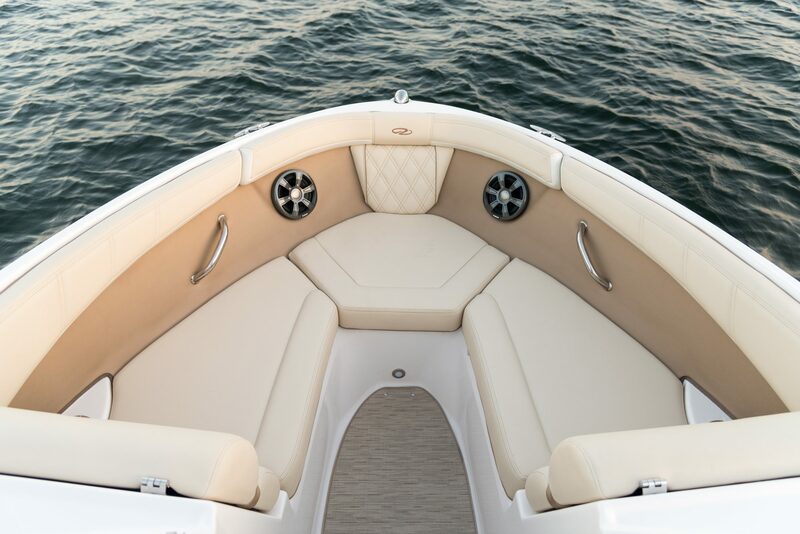 A slim, low-to-the-water platform features wings on both sides that wrap around the outboards. 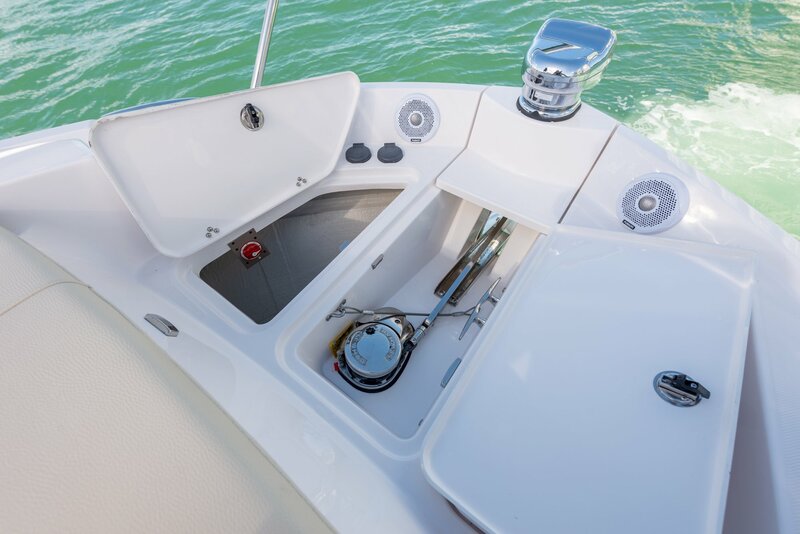 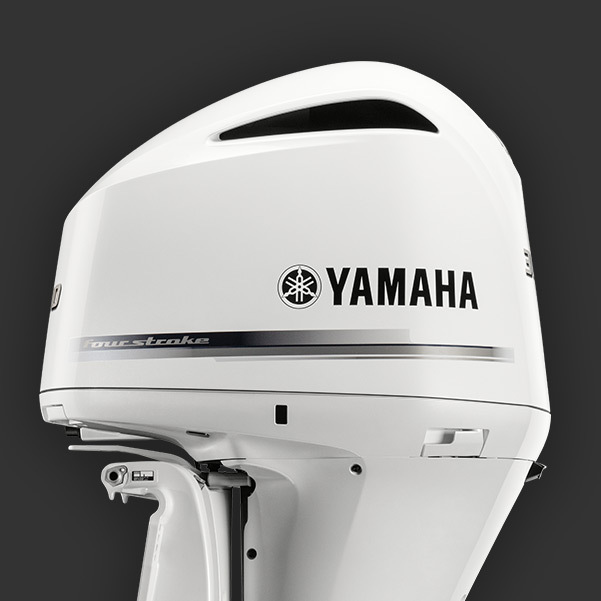 A step provides easy access across to either side, even with the outboards trimmed up. 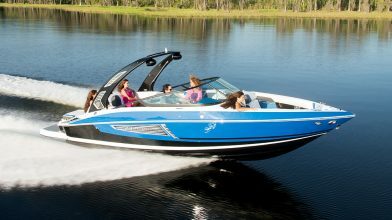 Enjoy adrenaline-charged performance thanks to the Yamaha power and explicitly designed running surface. 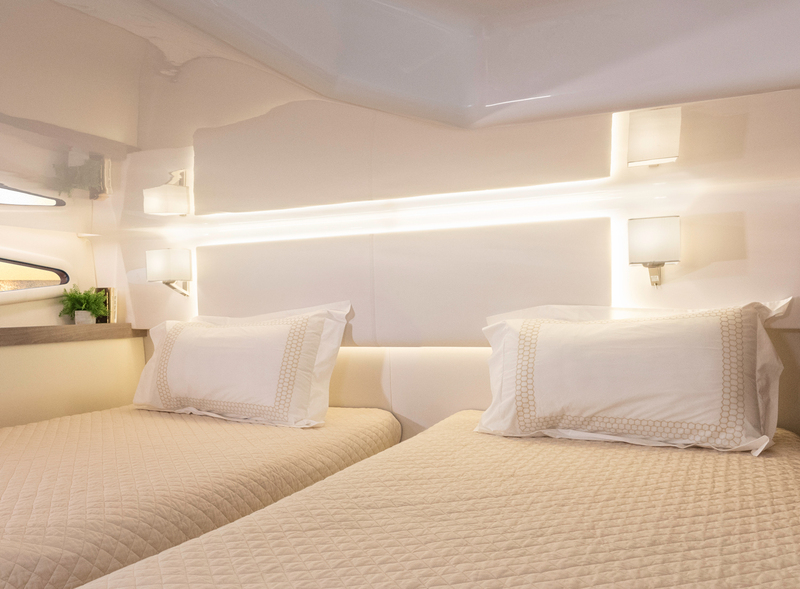 Lower the large window with just the push of a button and slide open the enclosure doors to seamlessly blend the cockpit and salon. 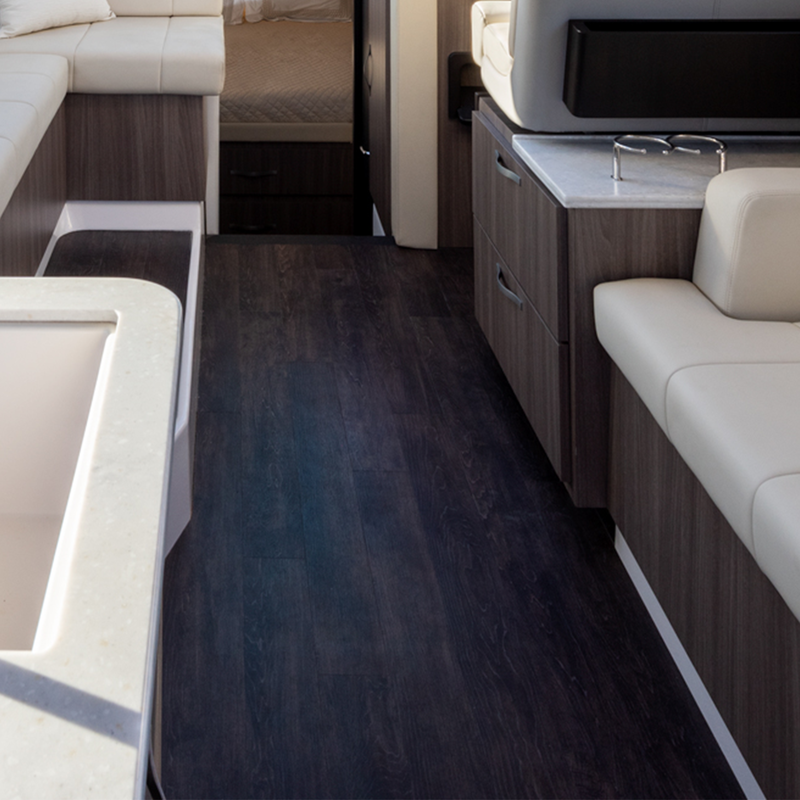 The galley combines with the outdoor refreshment center to serve as a versatile meal prep station. 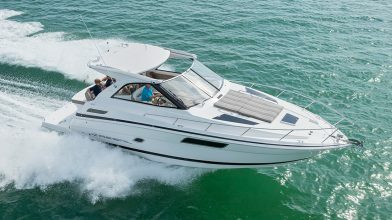 The spacious split head and shower provide the ability for two people get ready at the same time, a rare feature on a boat this size. 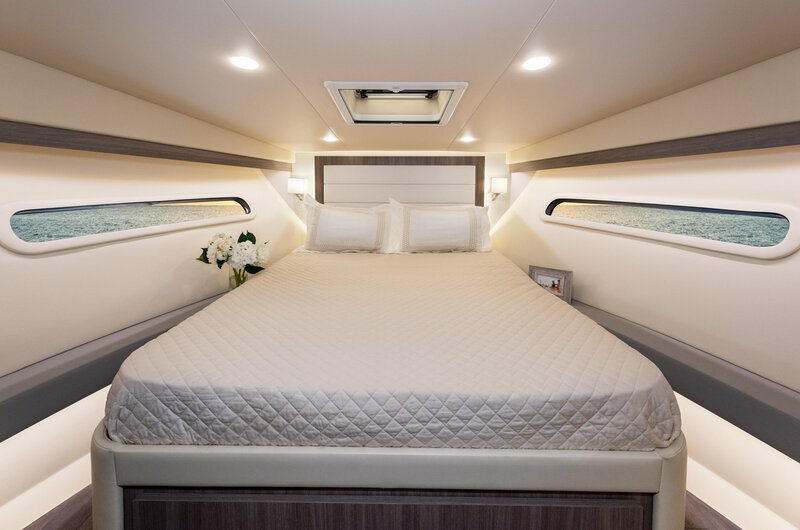 Featuring a California Queen bed, easy access on both sides, and an unheard amount of storage beneath, the forward stateroom not only raises the bar but is in a class of its own. 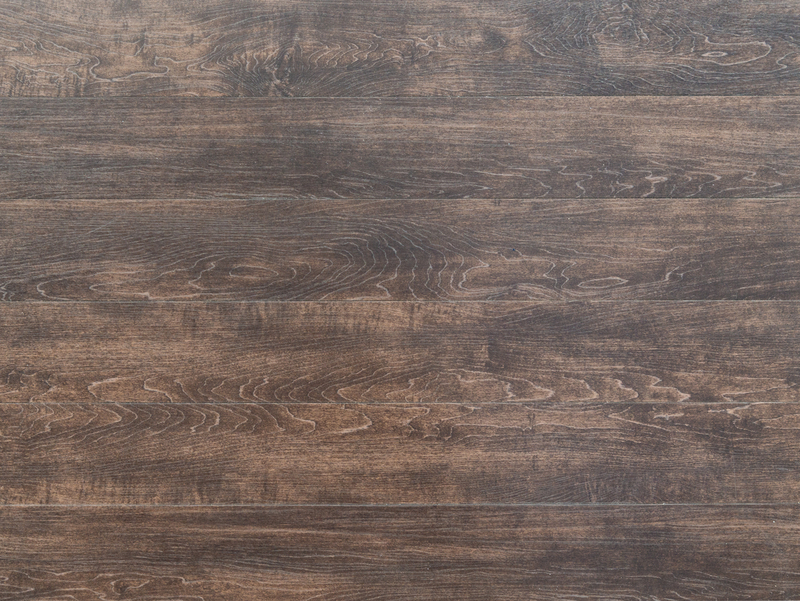 Keep floors clean with this easily store-able Vacuum. 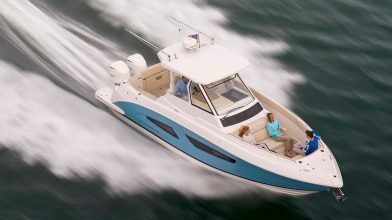 Comes complete with fenders, dock lines, life vests, first aid kit, boat hook, and deck brush. 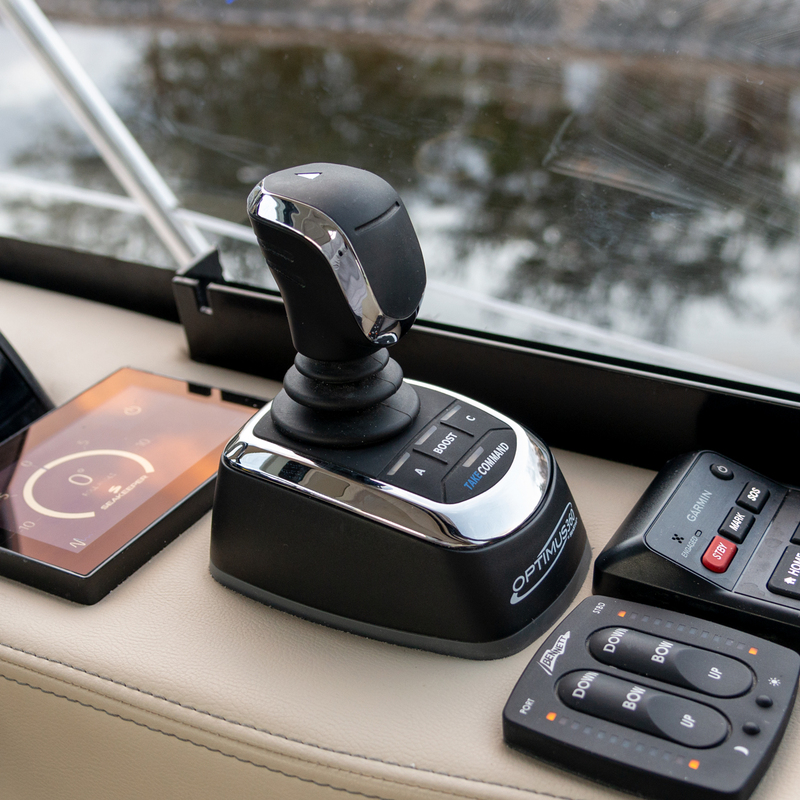 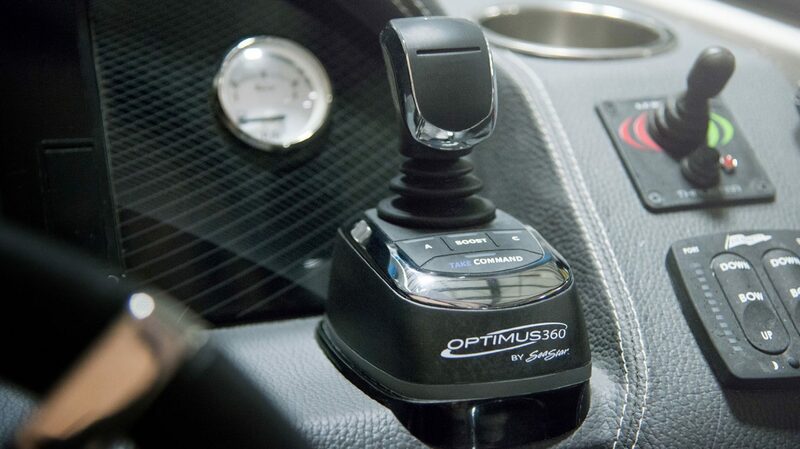 Docking is a breeze when using the Optimus 360 Joystick. 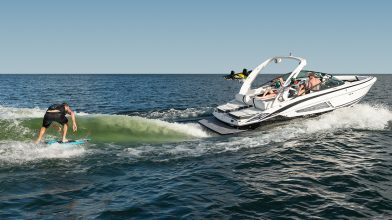 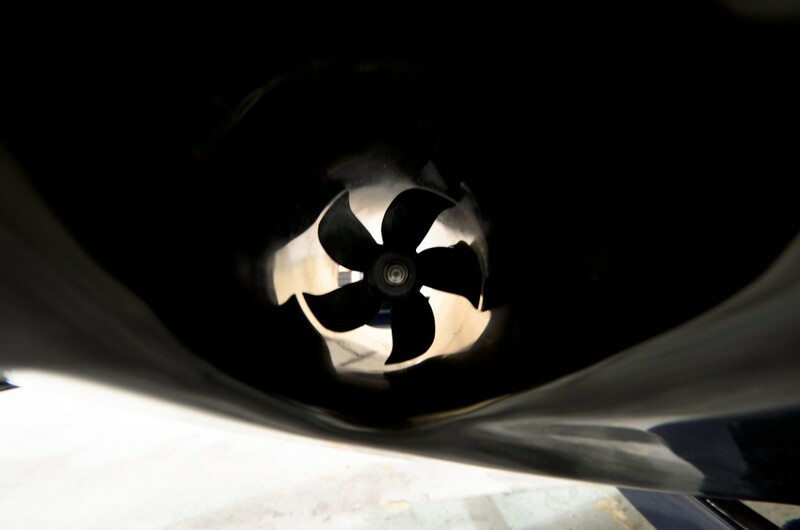 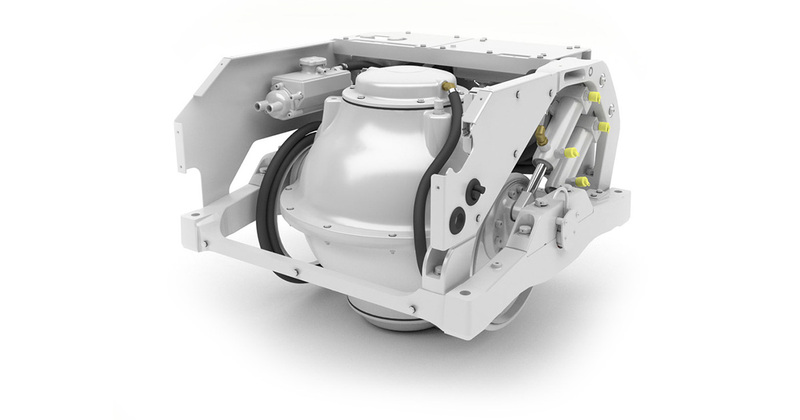 Thanks to Seakeeper's active control and its ability to optimize gyro torque, eliminate up to 95% of boat roll in all sea conditions and enjoy a smoother ride. 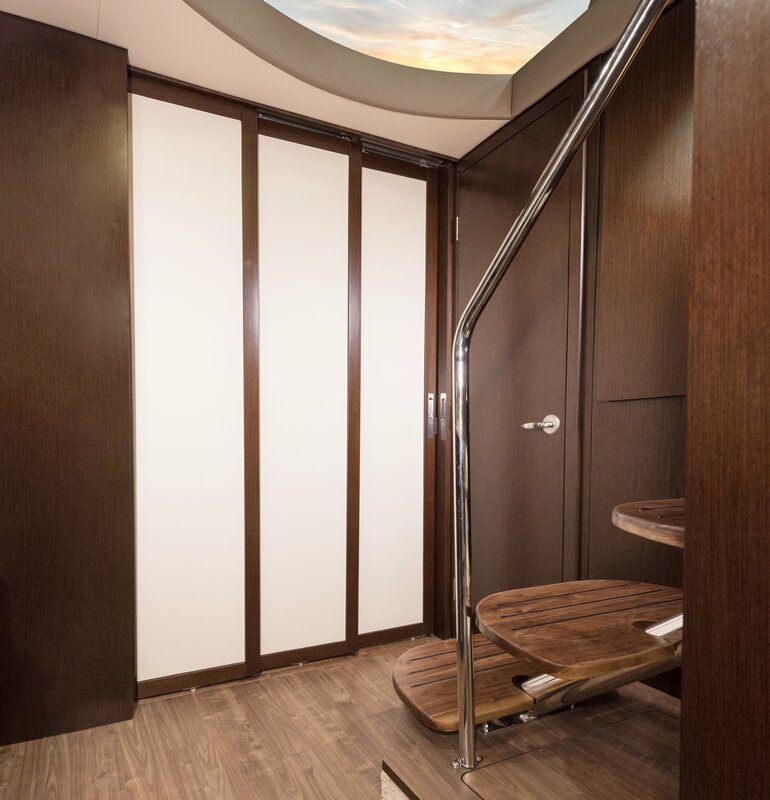 Looking for more privacy? 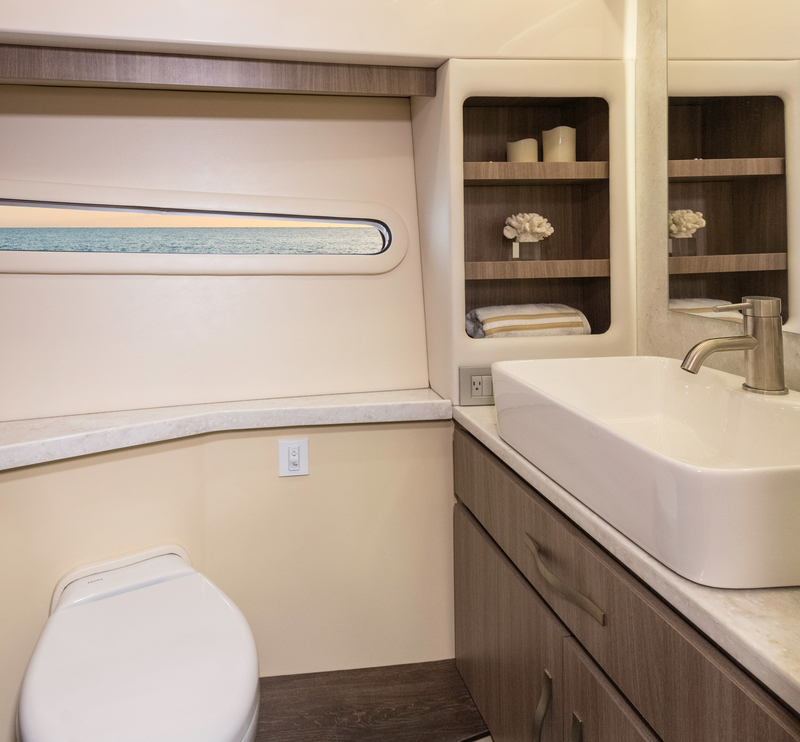 Add the optional aft stateroom sliding privacy door. 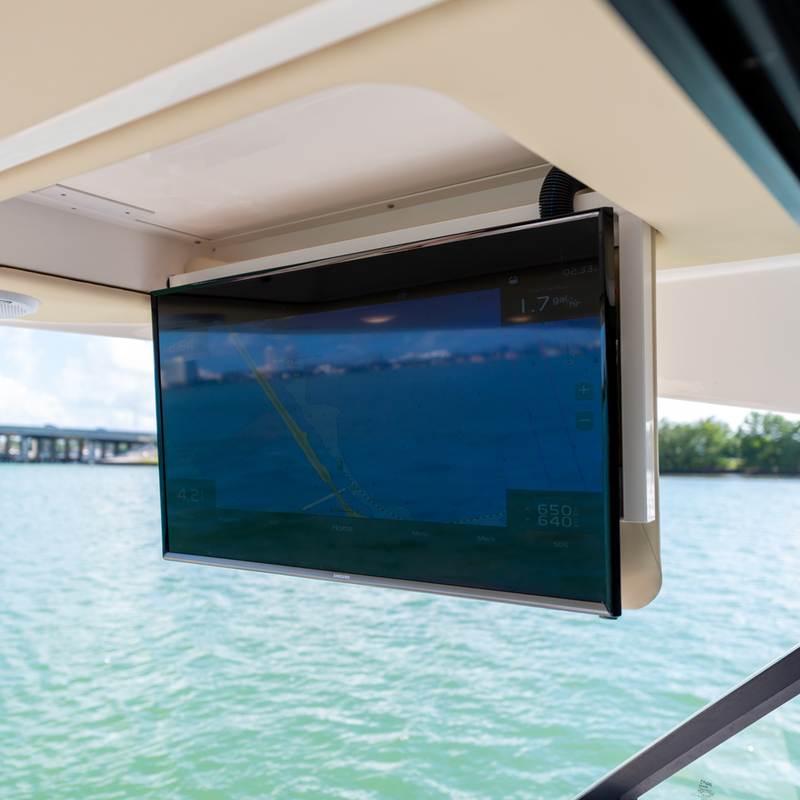 Extend your enclosed entertainment space and your boating season. 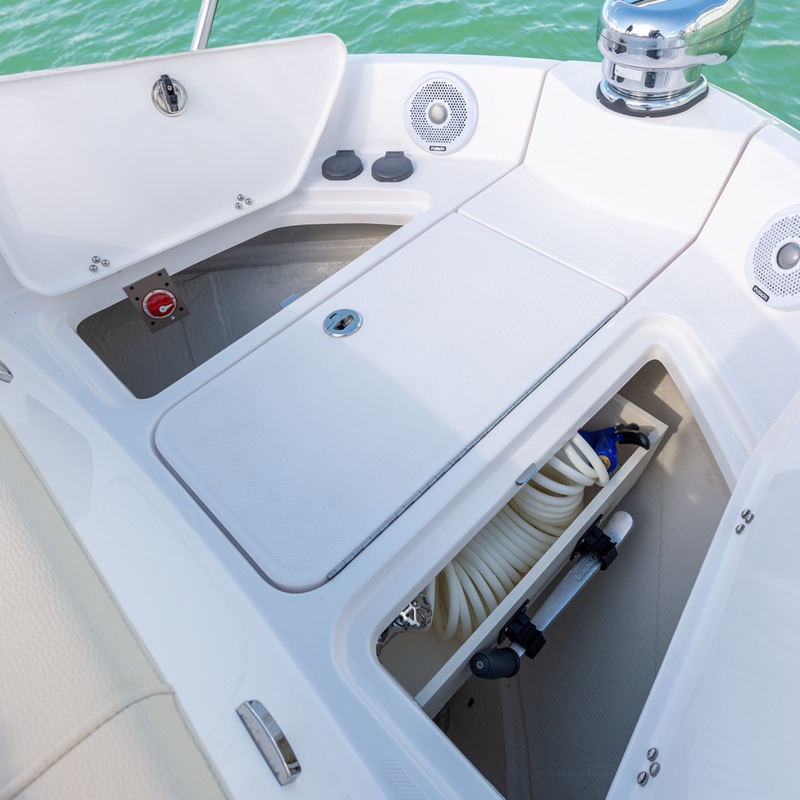 Quickly and easily increase your shade to keep the sun off the aft upholstery or cool the entire cockpit. 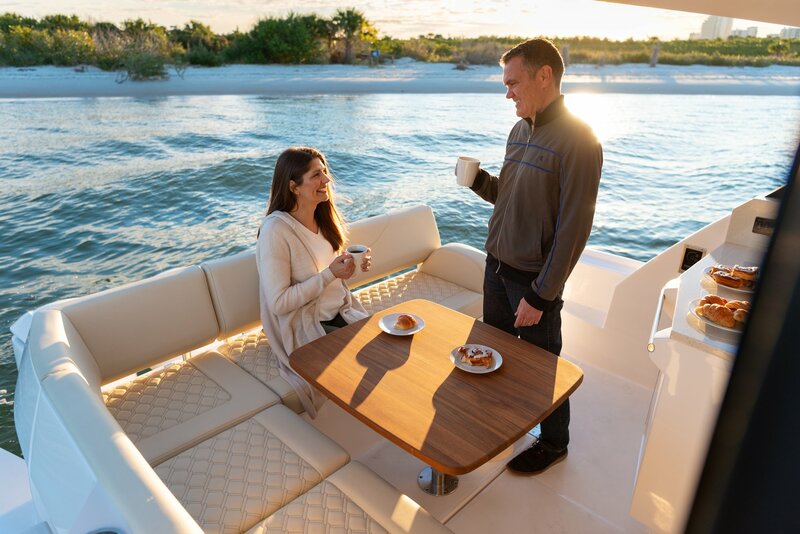 Relax and enjoy a meal in the open air. 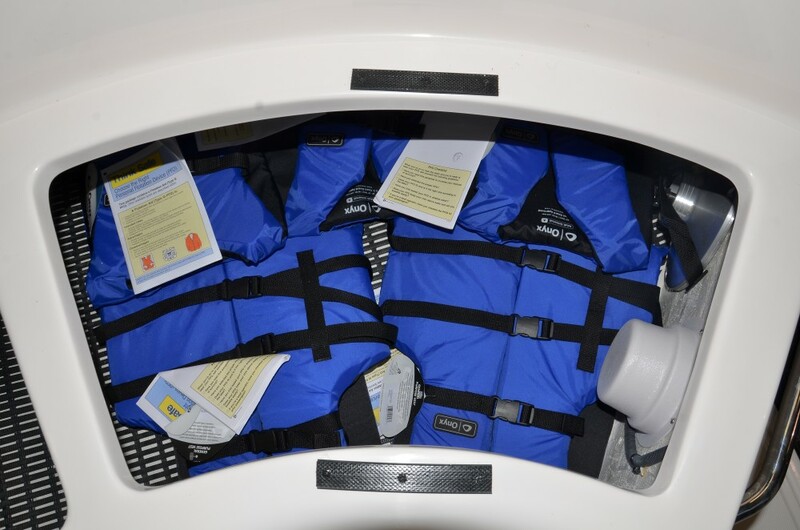 SeaDek is soft and comfortable on bare feet, non-skid, shock absorbent and easy to clean. 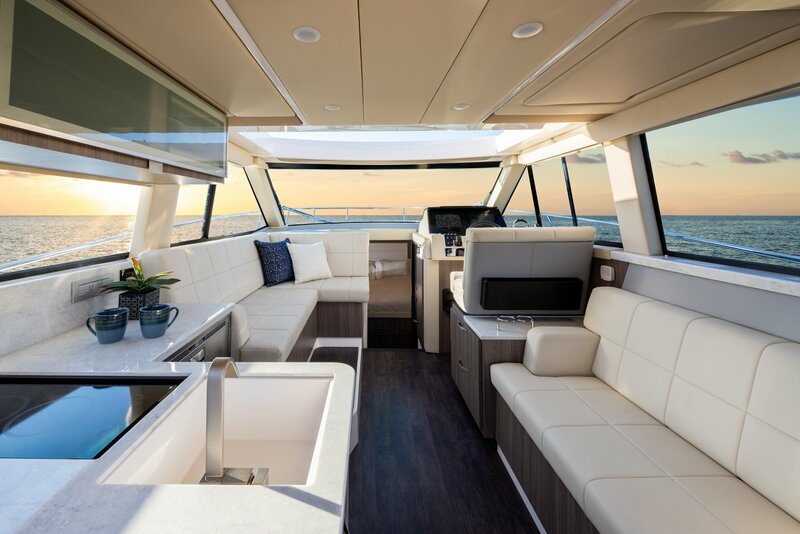 Catch some shade out on the multi-position foredeck sunpad with the Cabana Sunshade, allowing you to fully utilize one of the best places on the boat. 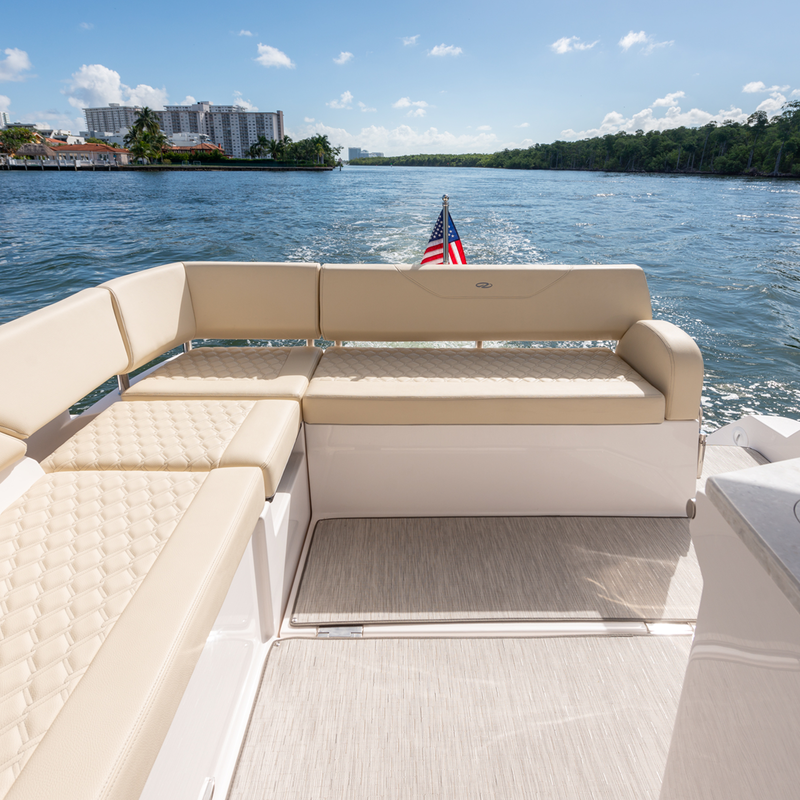 Enjoy your favorite show out on the water on a breezy day. 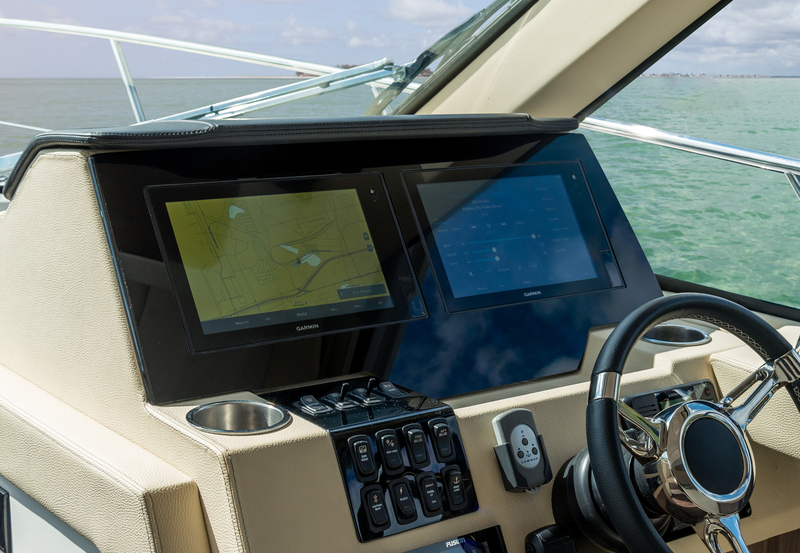 Feel the freedom to explore new waters with the dual Garmin 12" displays. 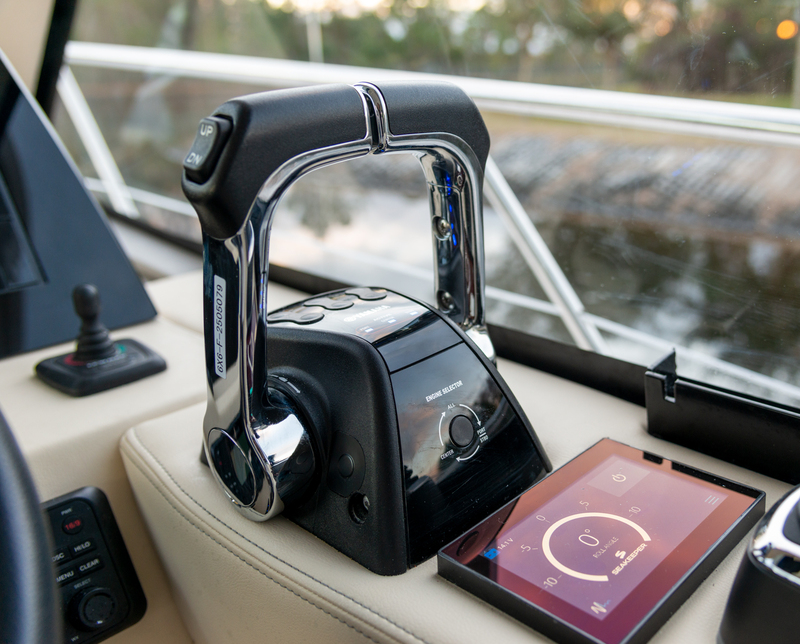 Feel the freedom to explore new waters with the dual Garmin 7612xsv + B60 Transducer combination. 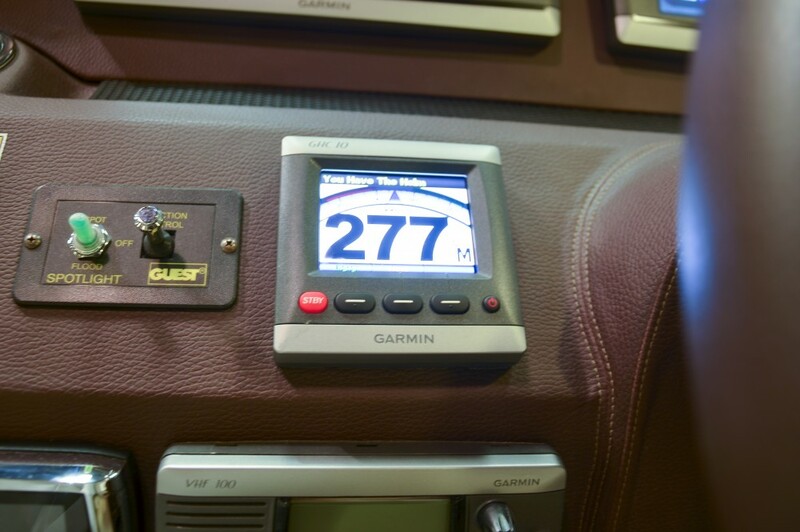 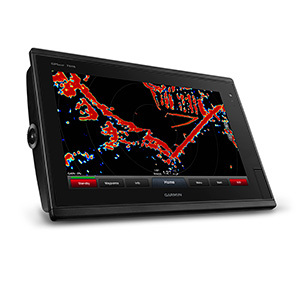 Navigate like a true captain through uncharted territory with the Garmin 7616 16" Display. 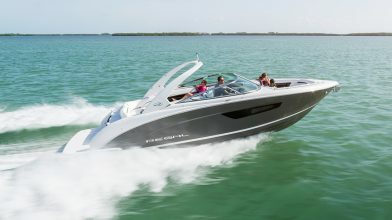 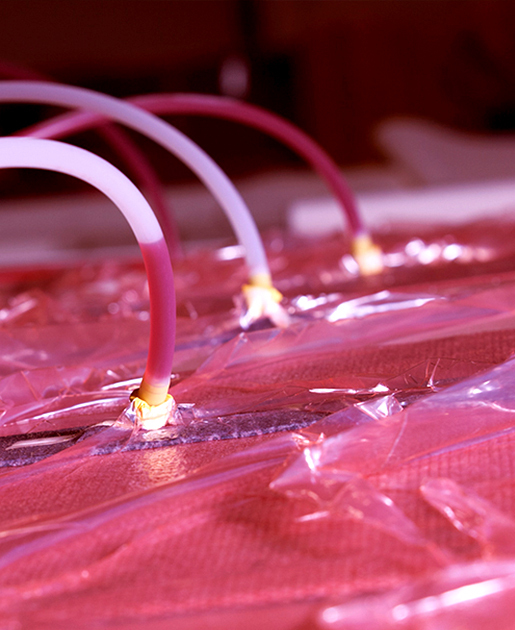 Smooth cruising with advanced IPS autopilot. 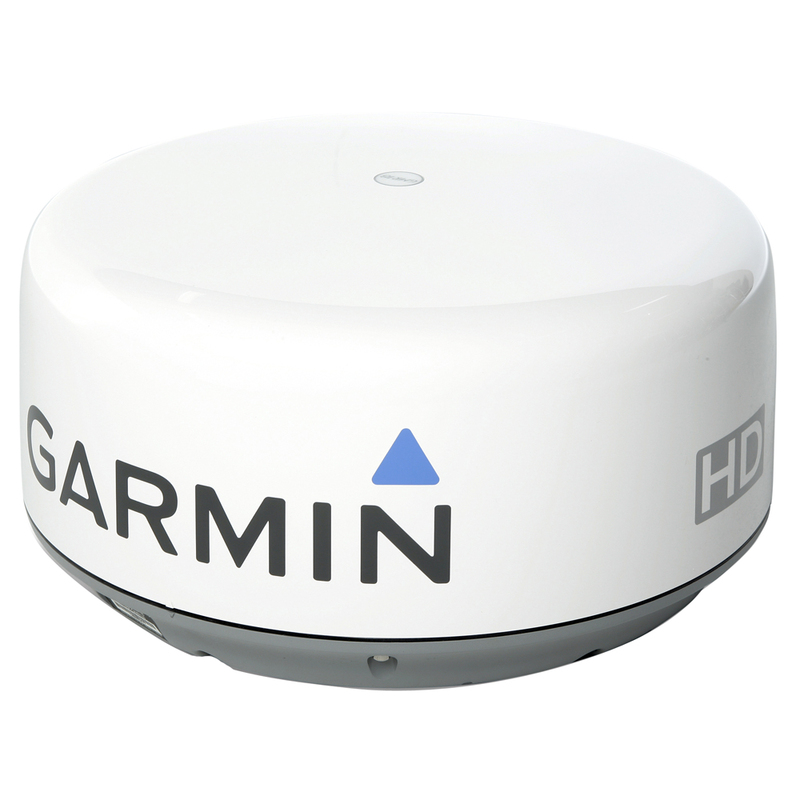 Sharpen your radar picture with high definition performance. 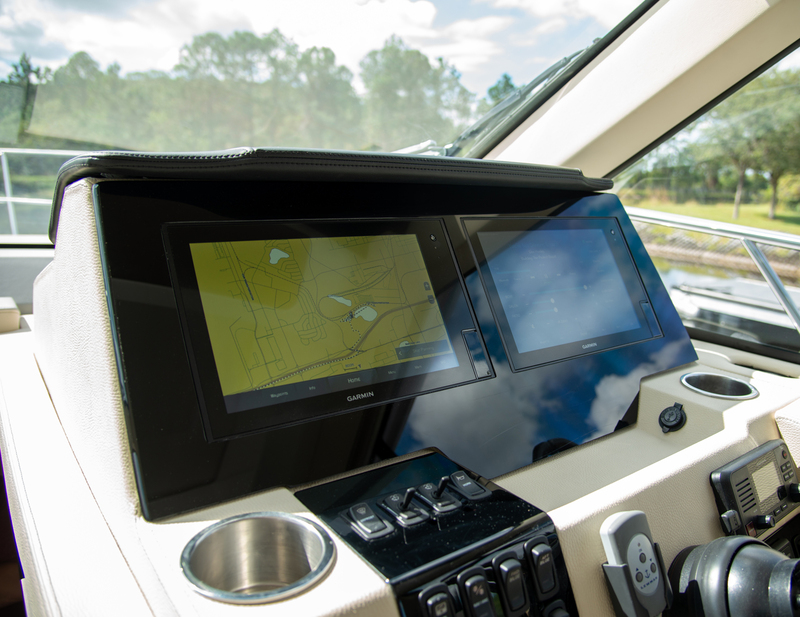 The radar offers a whole new level of radar scanning capability. 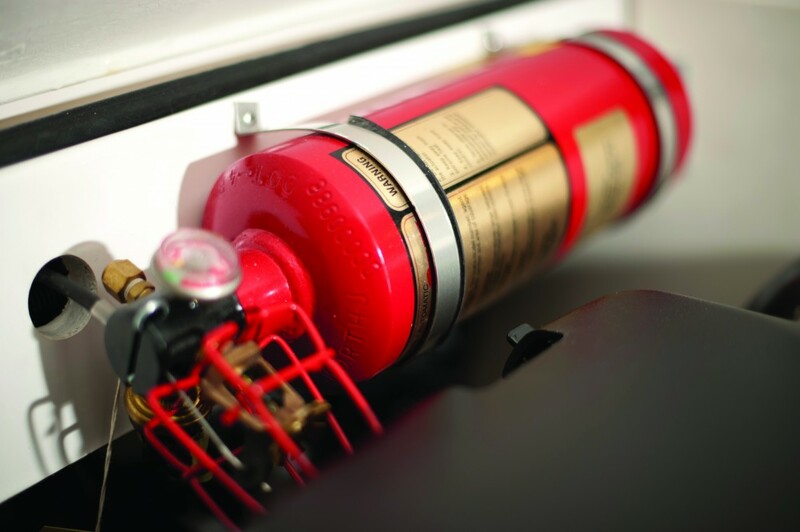 Always prepared for what lies ahead. 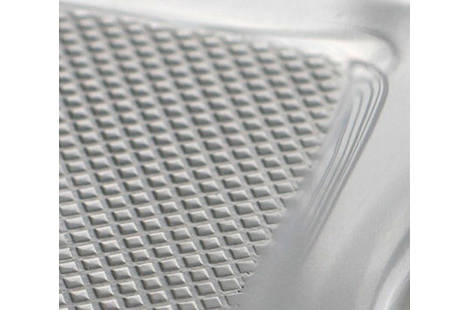 The central strainer makes it a one-stop clean to remove any debris that you may have picked up on your journey. 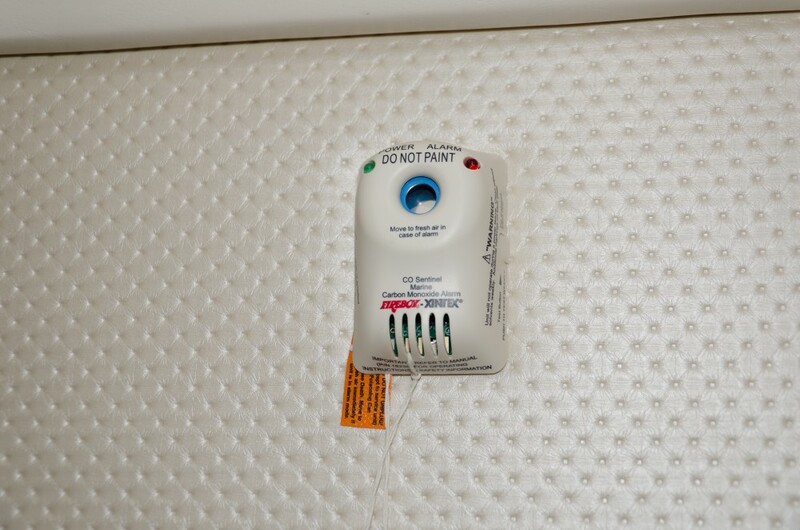 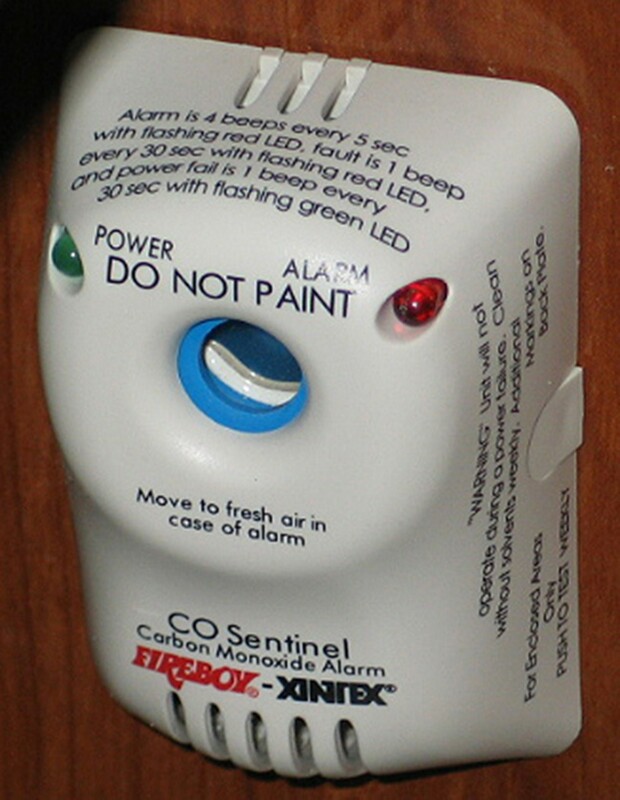 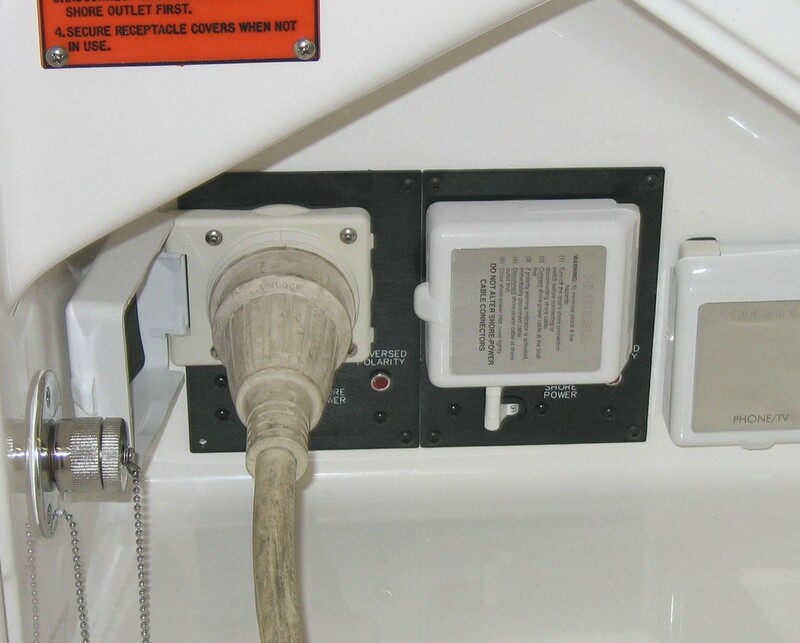 Control your battery switches from the cockpit and forego climbing down into the bilge. 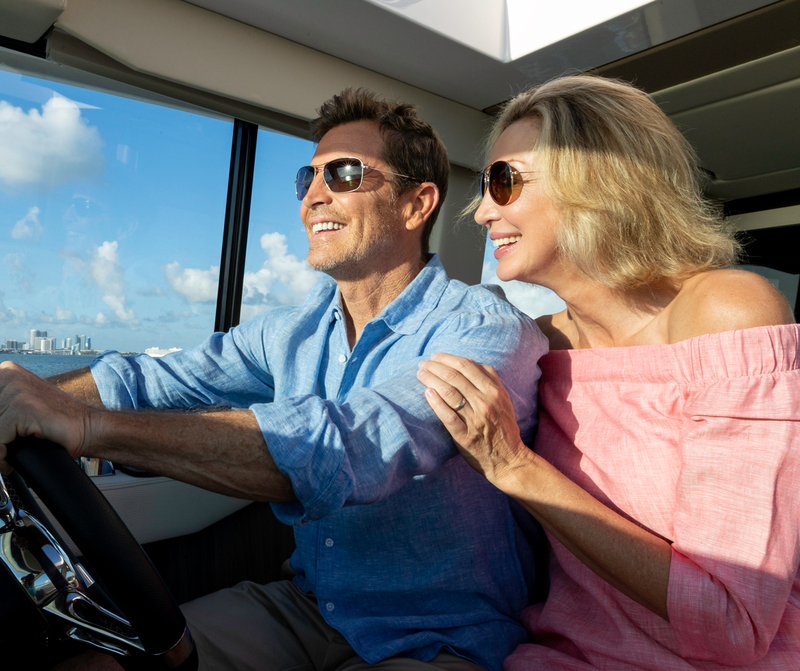 The standard cruise package means your next Regal comes complete with fenders, dock lines, life vests, first aid kit, boat hook, and deck brush. 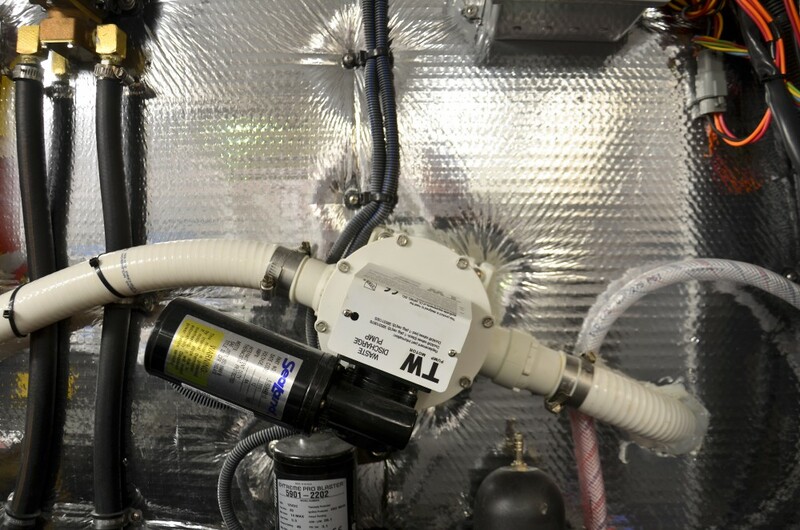 Keep your water tank full. 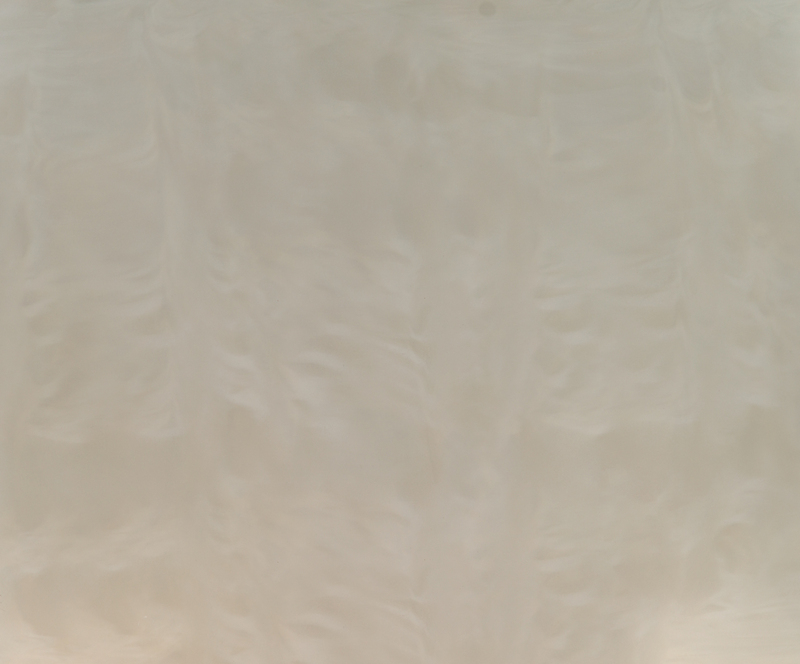 You never know what the day has in store. 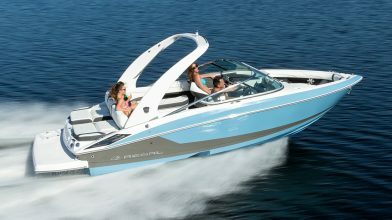 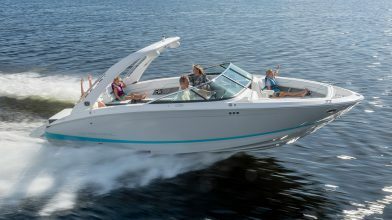 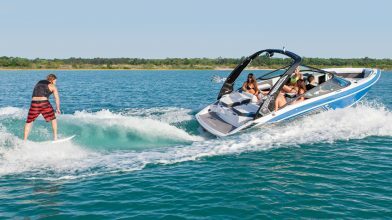 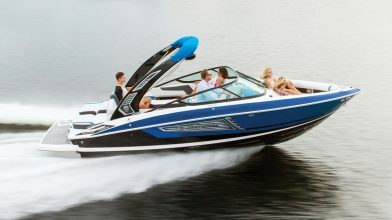 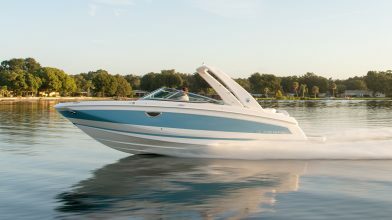 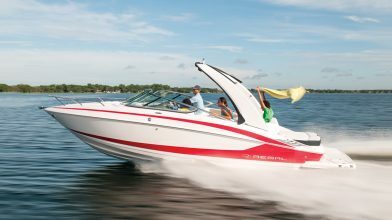 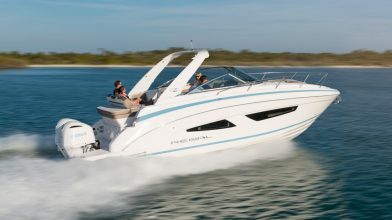 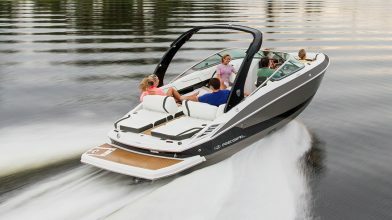 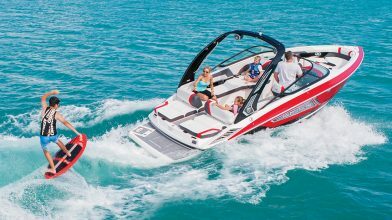 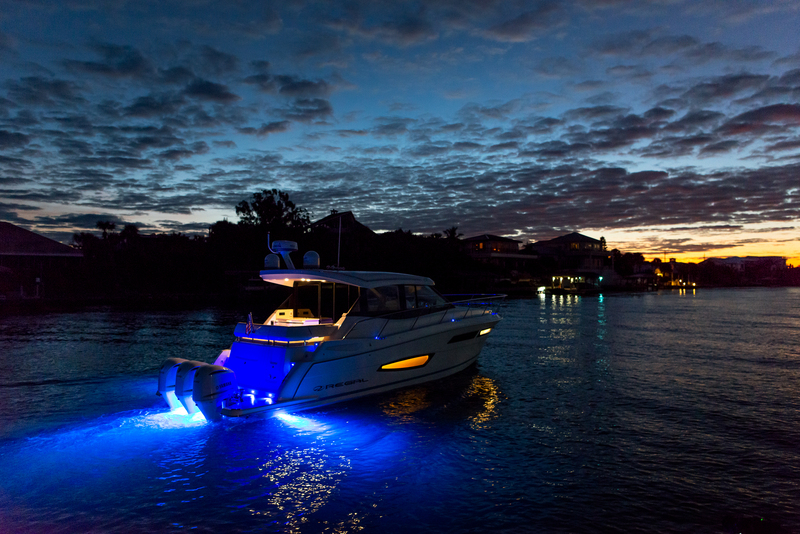 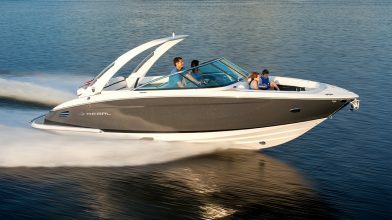 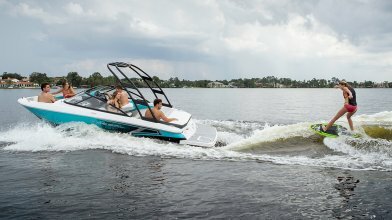 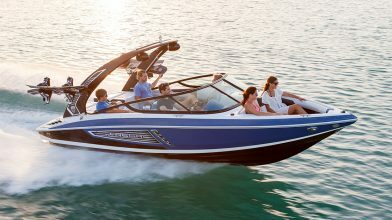 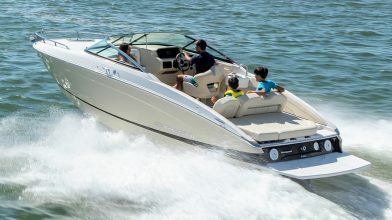 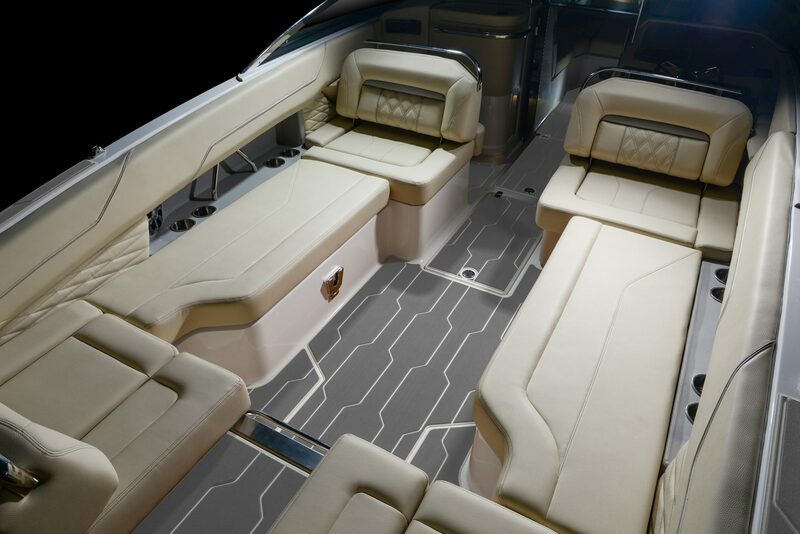 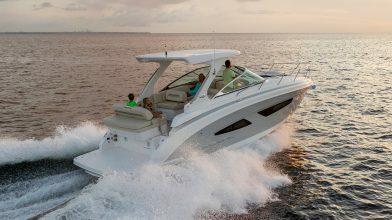 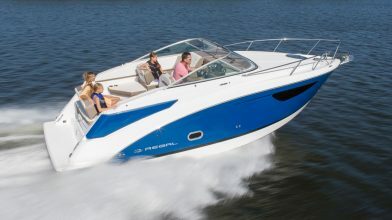 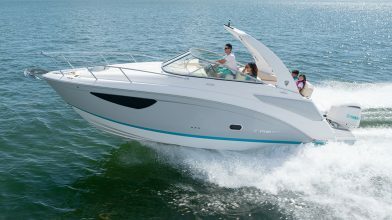 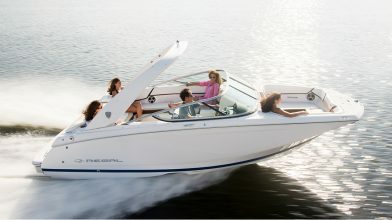 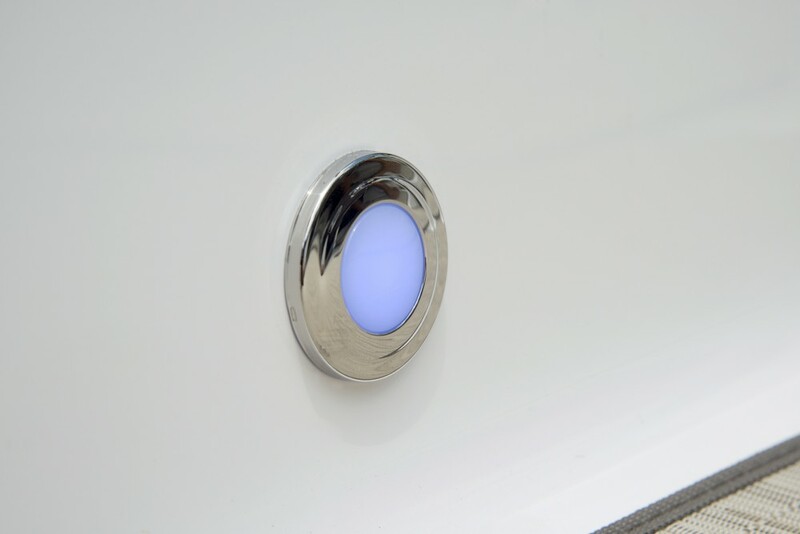 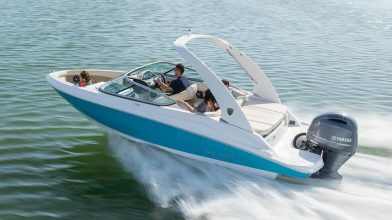 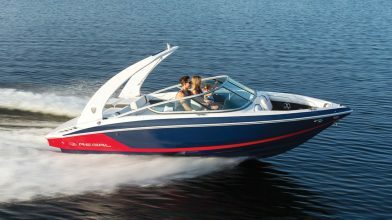 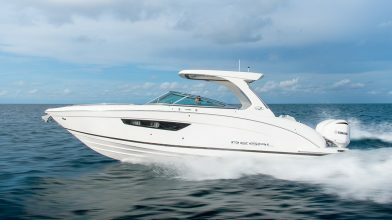 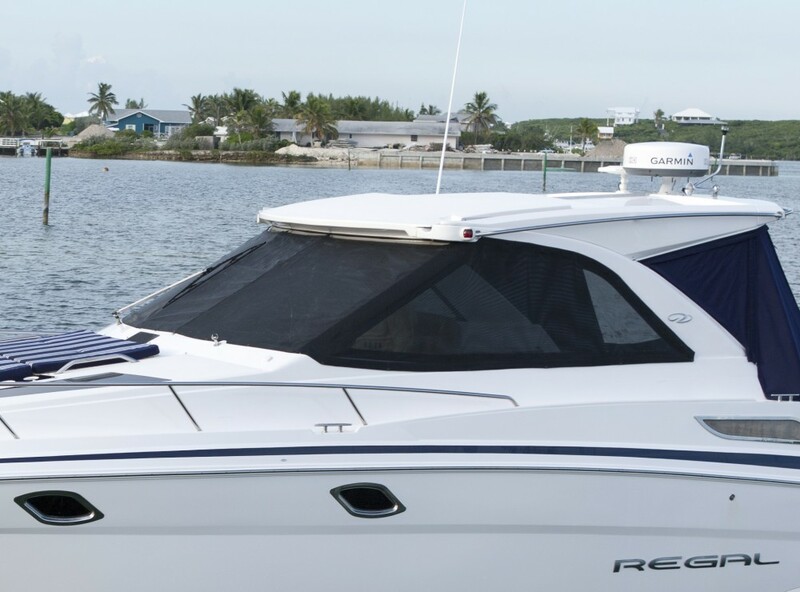 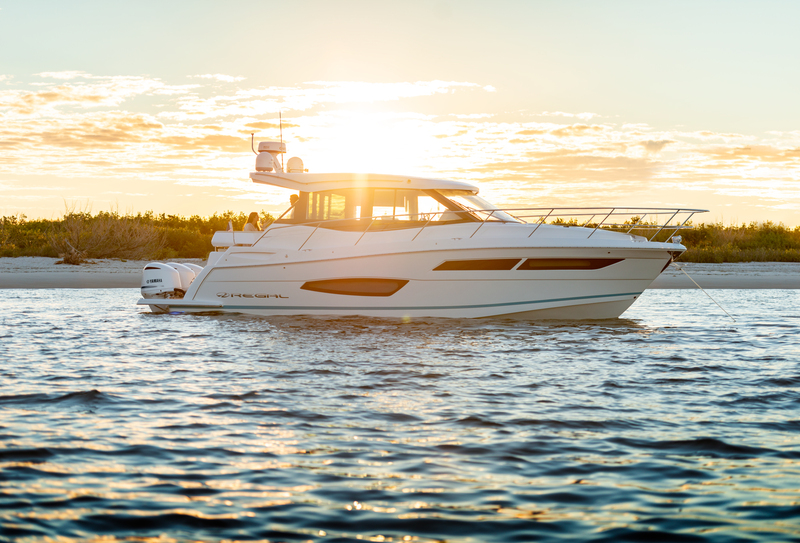 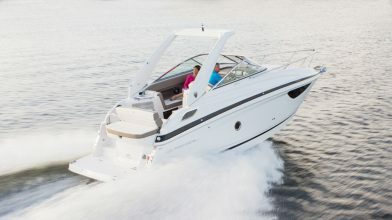 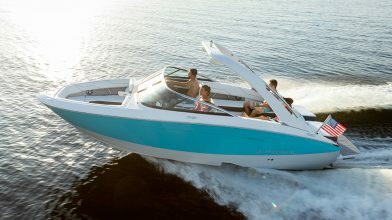 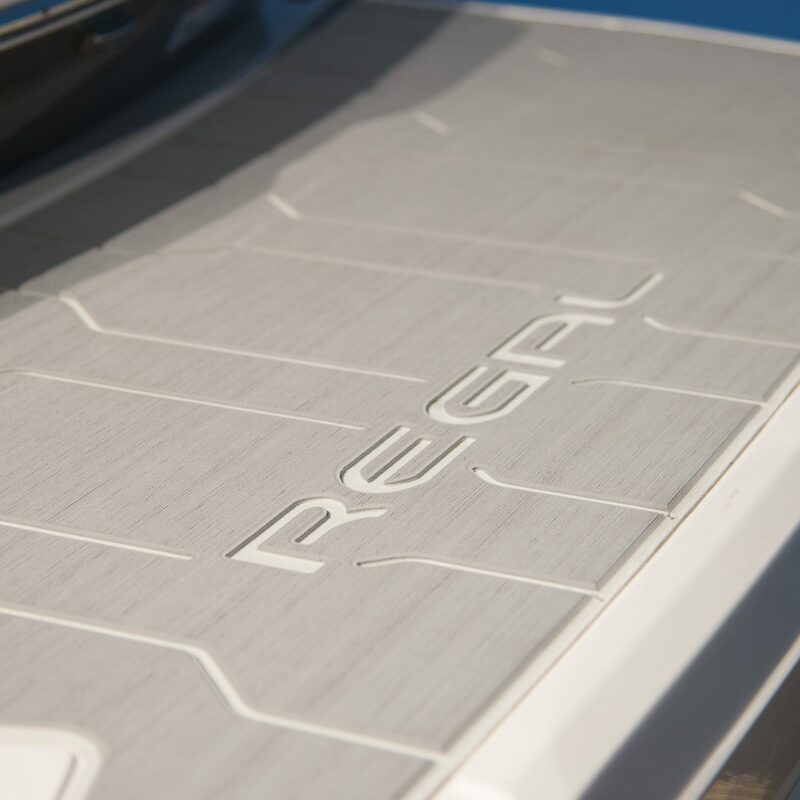 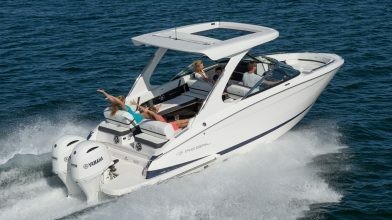 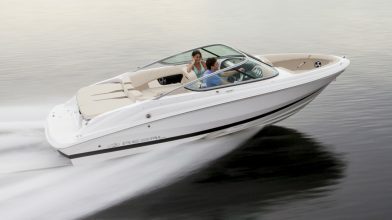 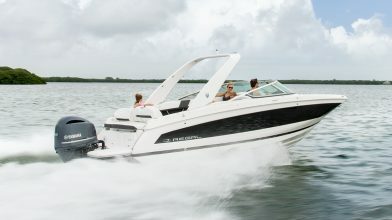 With a single 50' 50 amp dockside cable, your Regal will be powered up and all system ready to go. 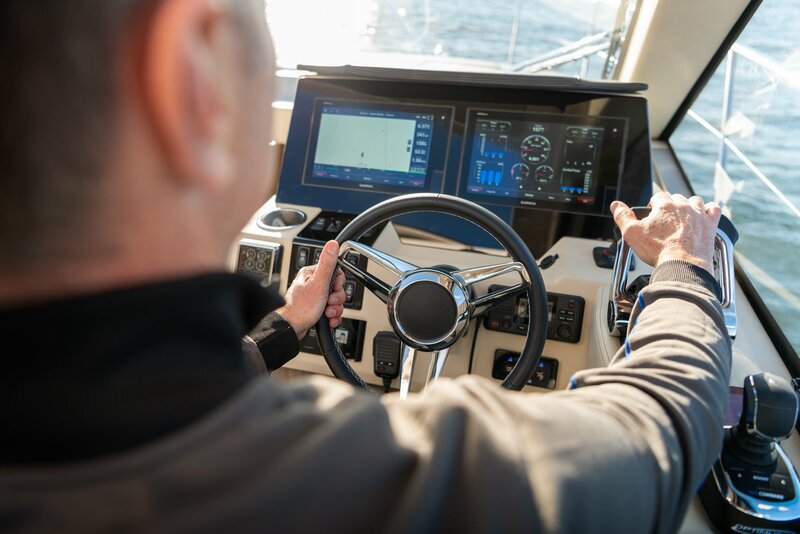 Control your windlass at the touch of a button. 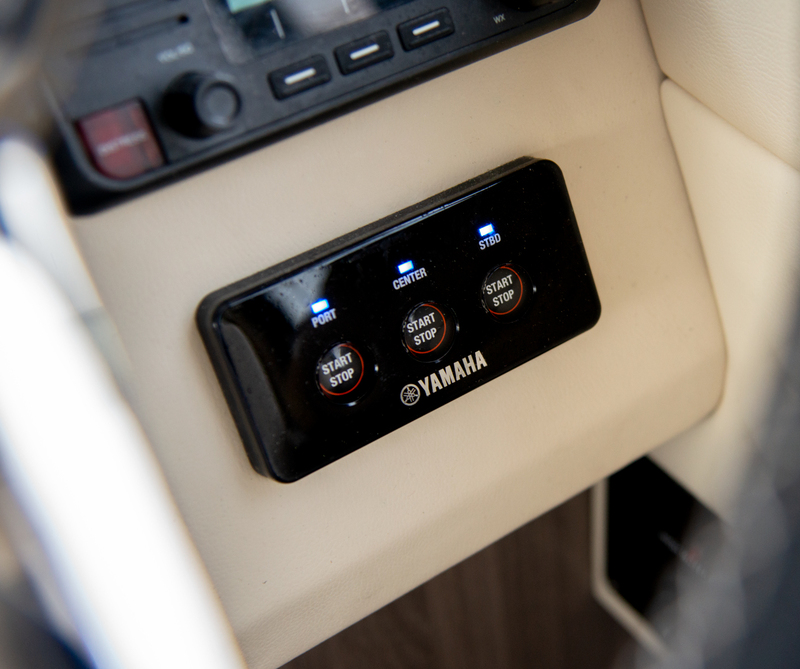 The air conditioning system will keep the cabin cool even on the hottest days or use the reverse cycle heat on the colds ones. 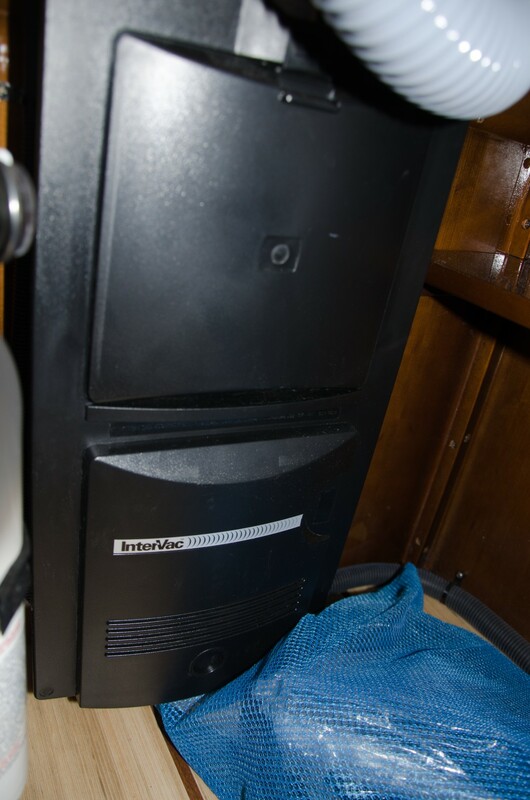 Your home for entertainment. 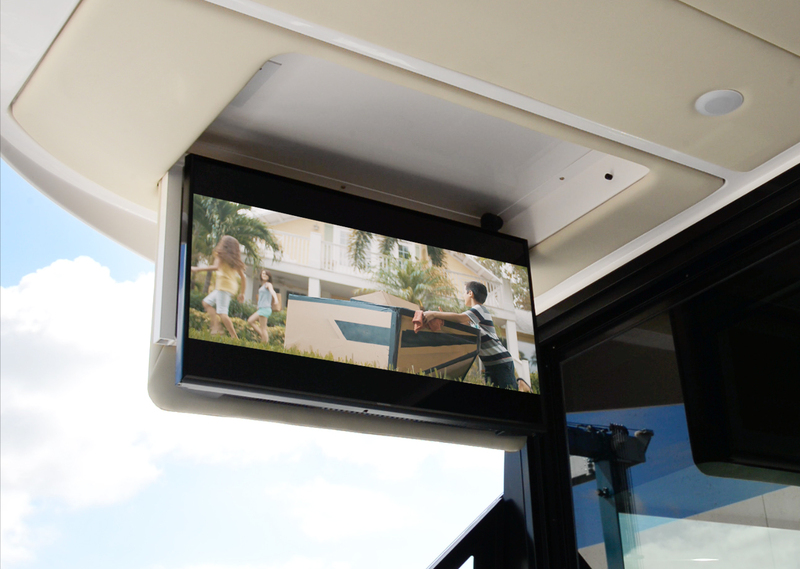 The 32" TV and BluRay Player are for your night time paradise. 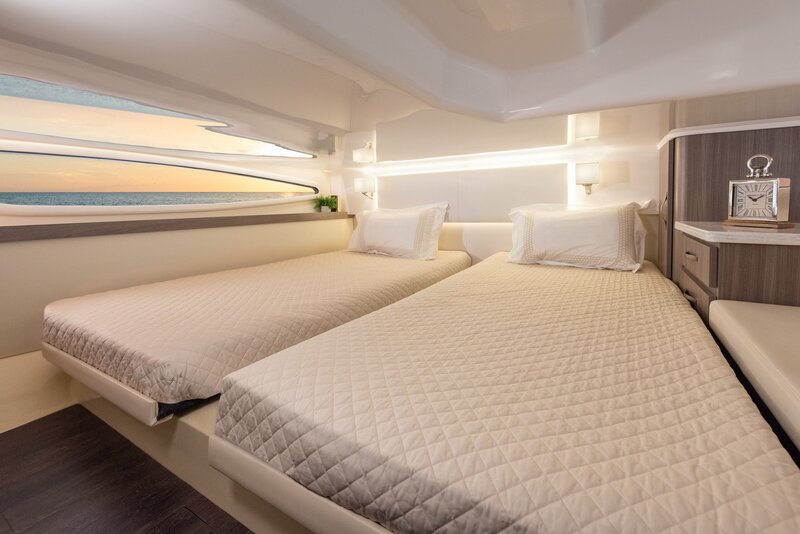 Uniquely designed sliding privacy doors separate the master stateroom from the rest of the boat. 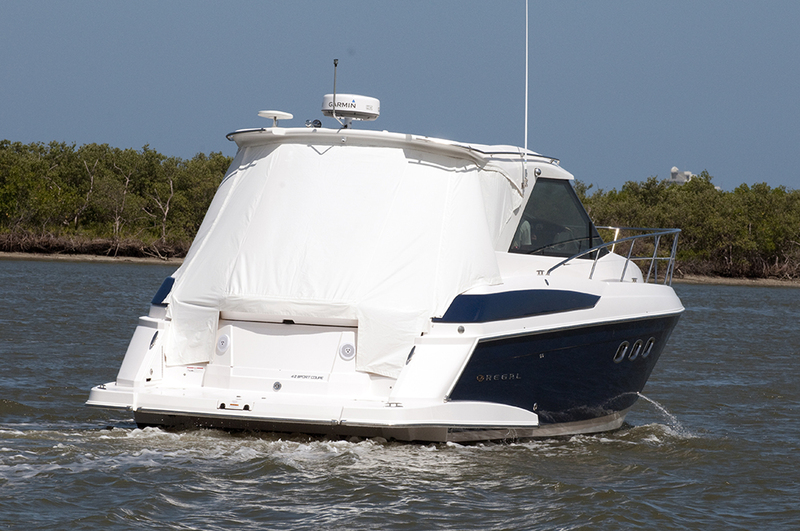 Let the breeze in but keep the bugs out with the deck hatch and screen. 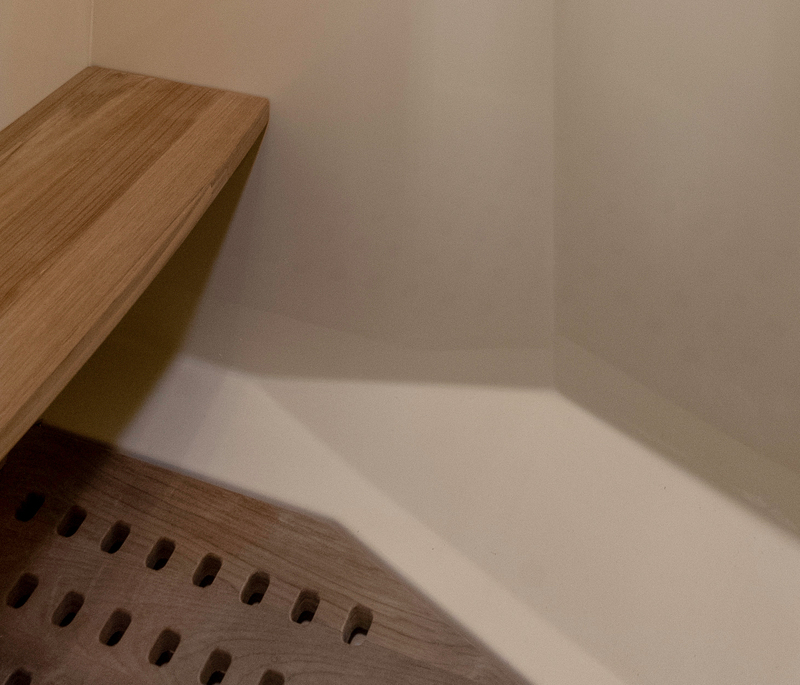 The rich look and feel of teak give the shower a warm feel. 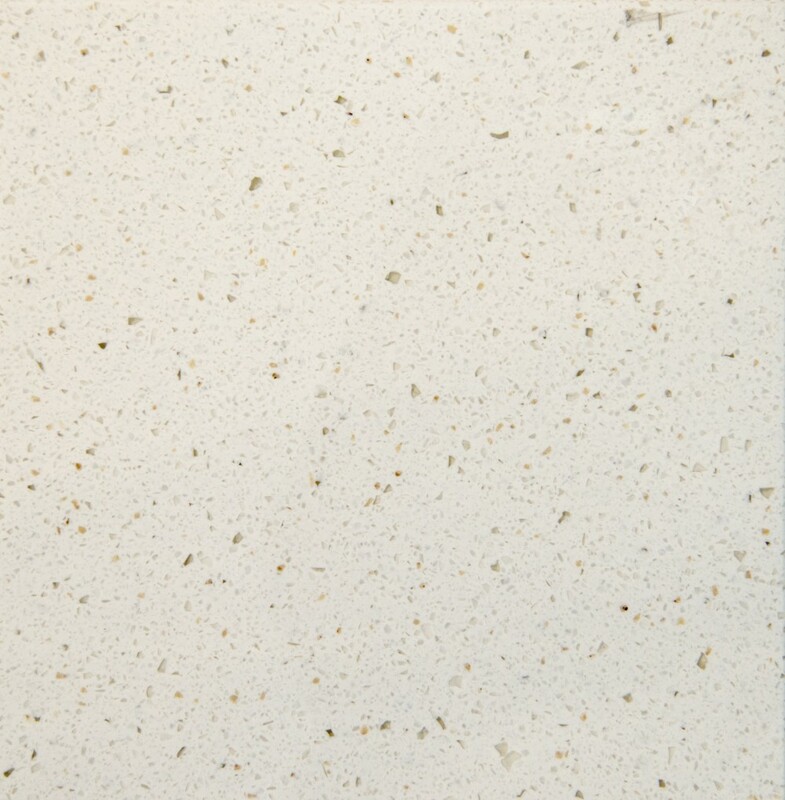 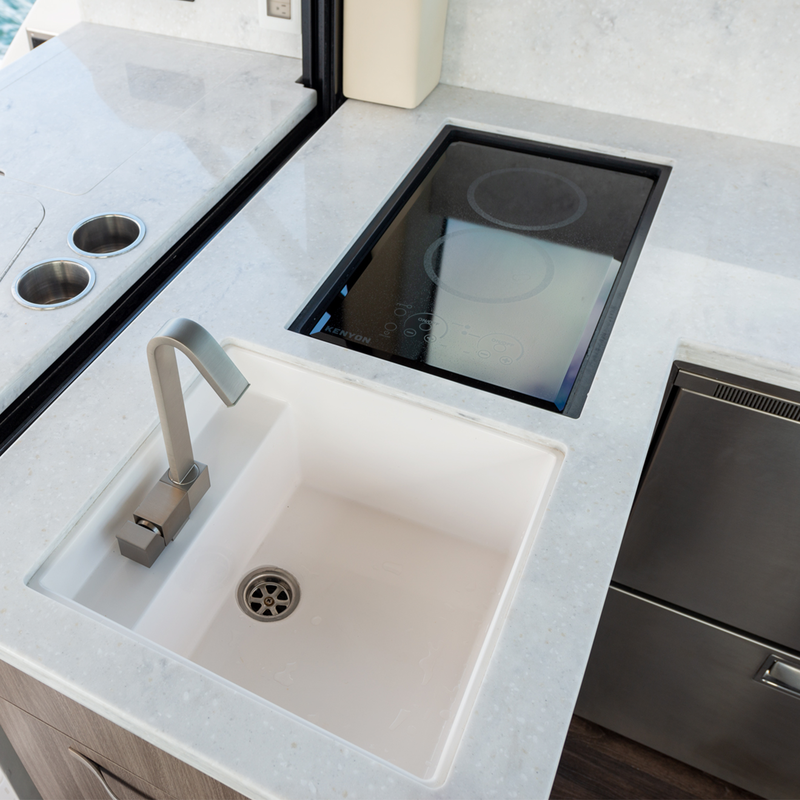 A glass vessel sink is just another example of how Regals feature the latest trends with a classy touch. 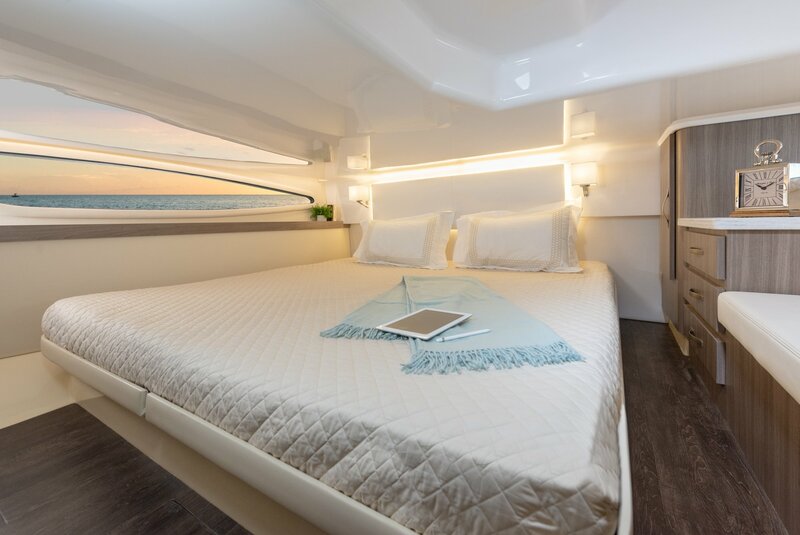 The stainless stairway provides for easy access into the staterooms. 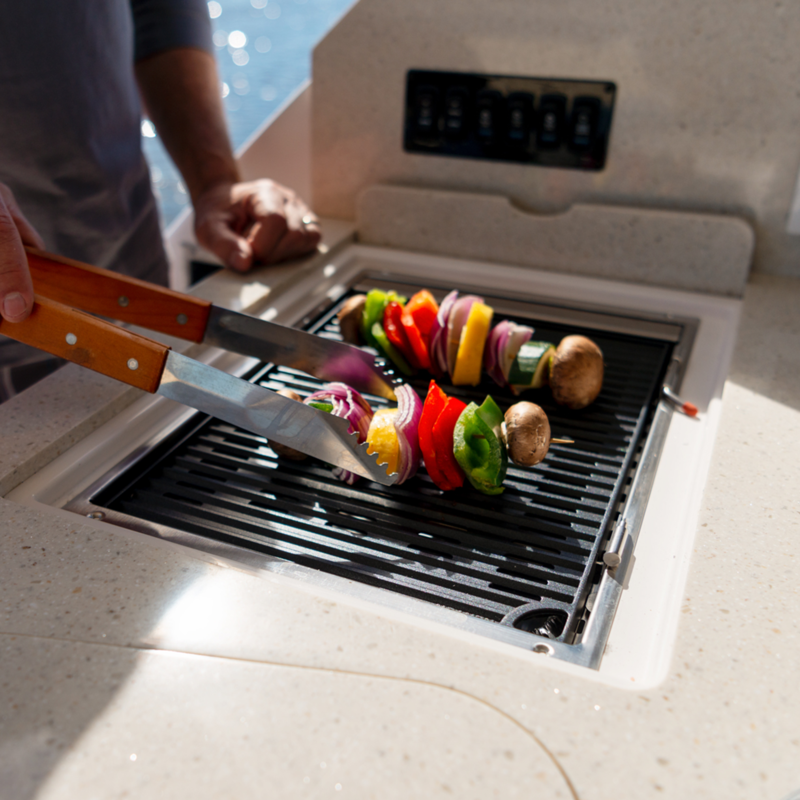 Integrated electric smokeless grill, solid surface cover, and under the counter refrigerator. 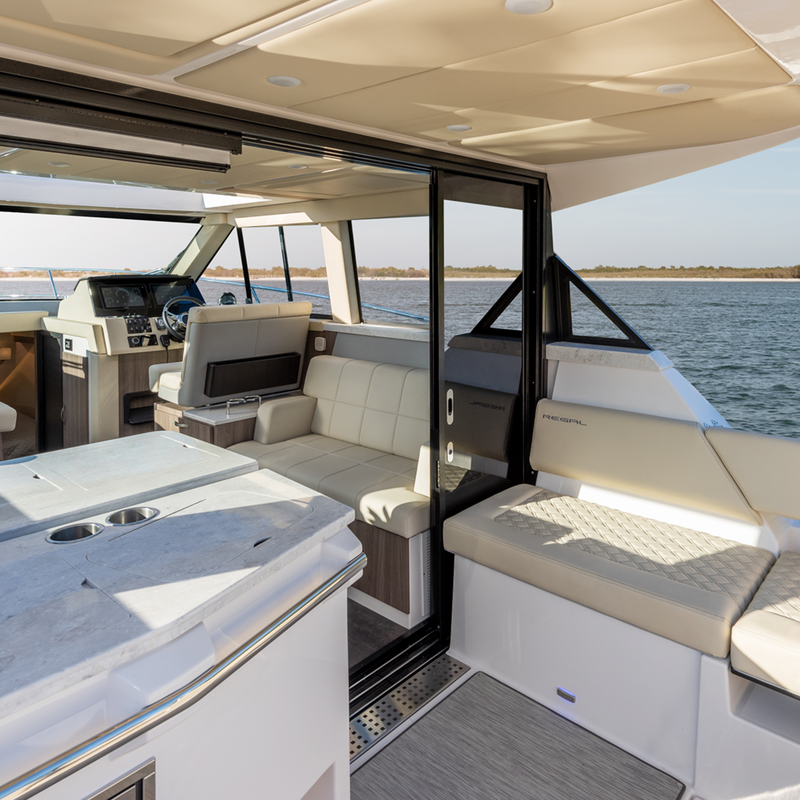 The glass enclosure doors slide completely open to join the aft patio and upper salon. 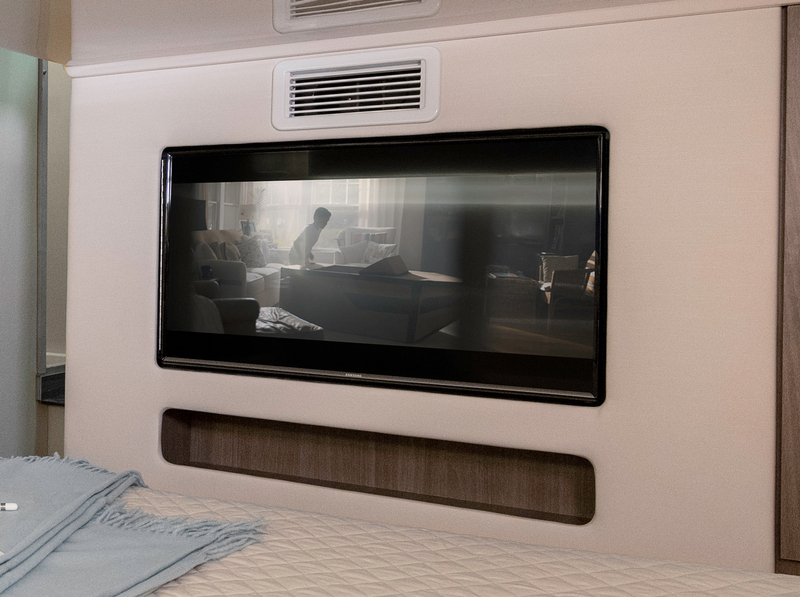 The hidden TV folds down with the push of a button. 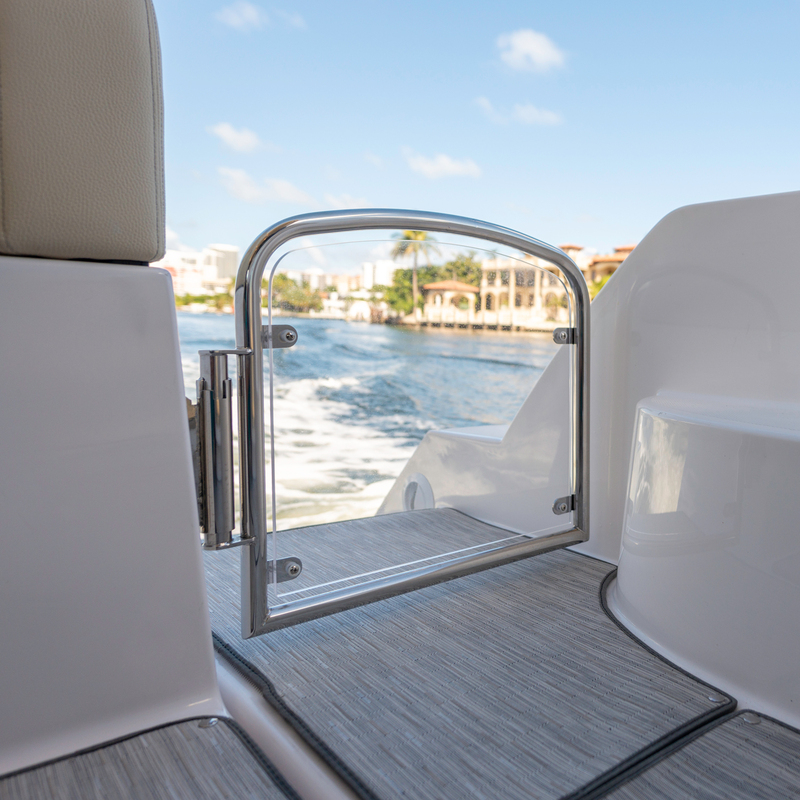 L-shaped seating aft and starboard with removable section for foredeck or docking access. 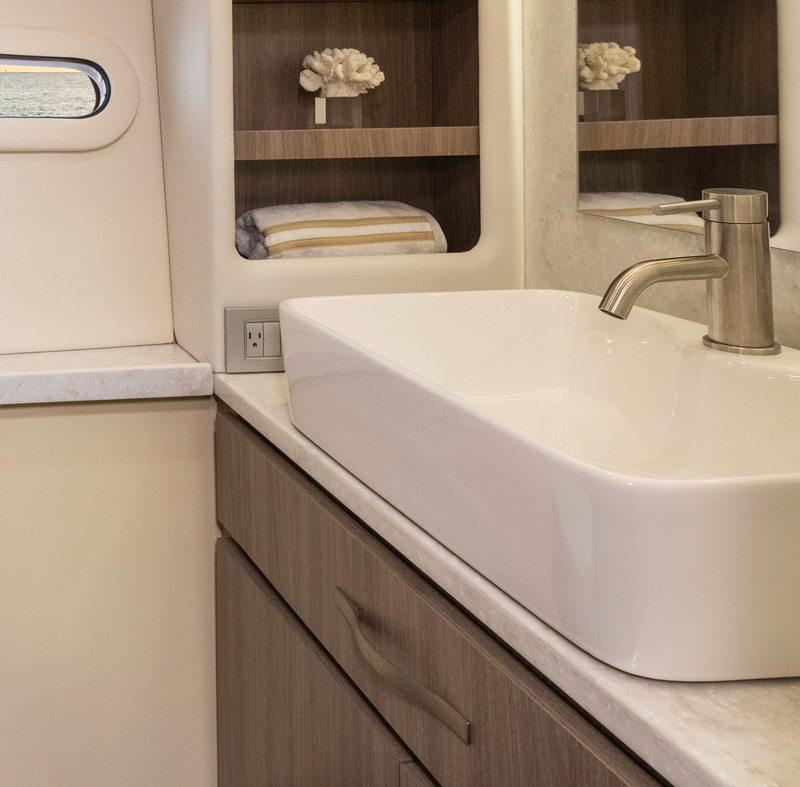 Refrigerator, freezer, sink, smokeless grill, and a microwave are just some of the amenities that can be found in the galley and salon. 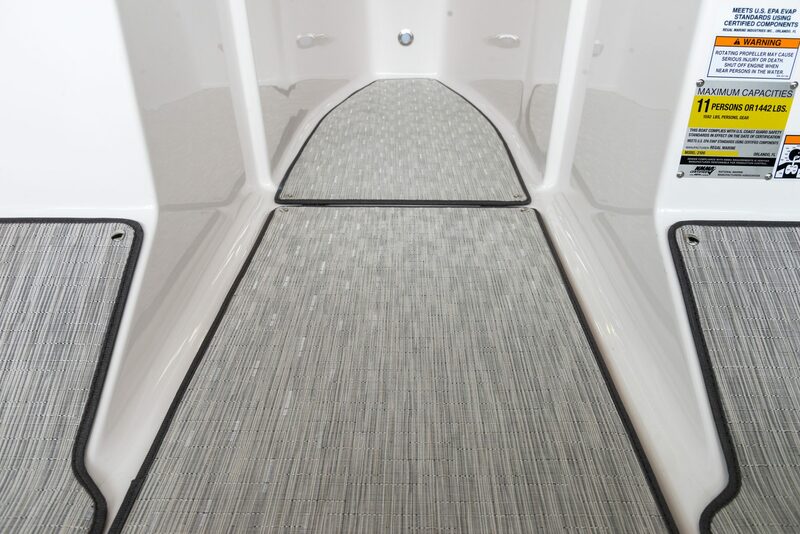 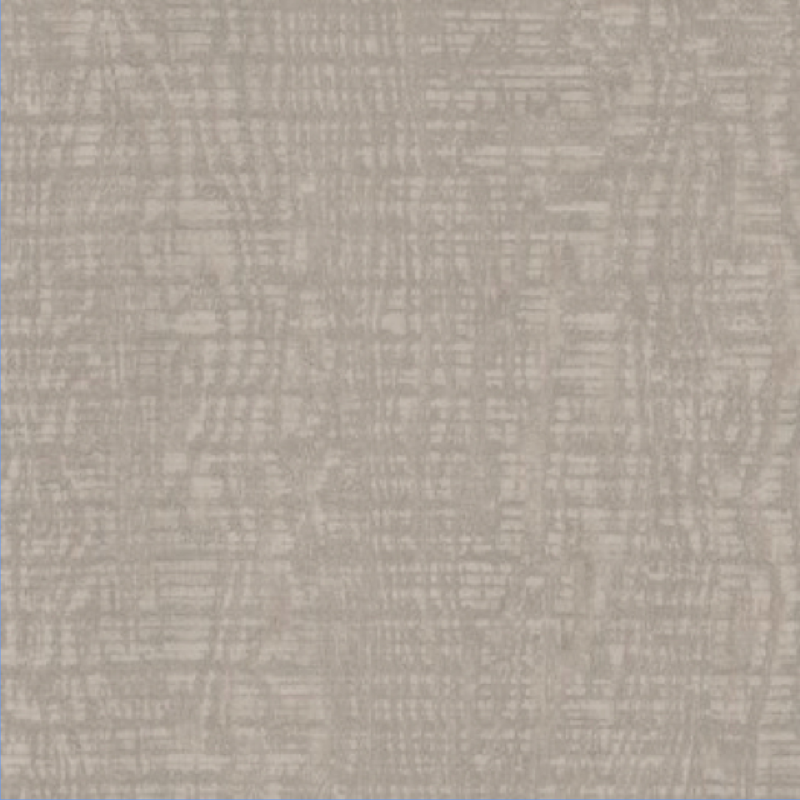 The Seagrass floor covering is durable. 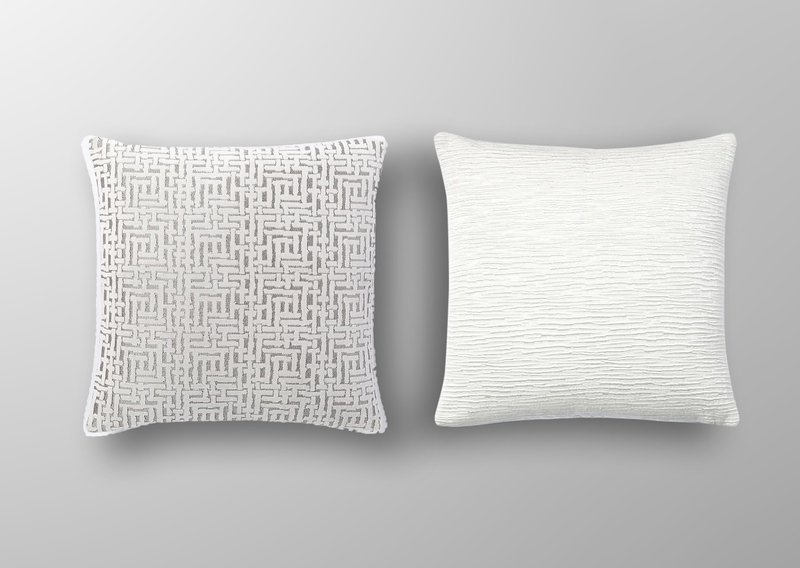 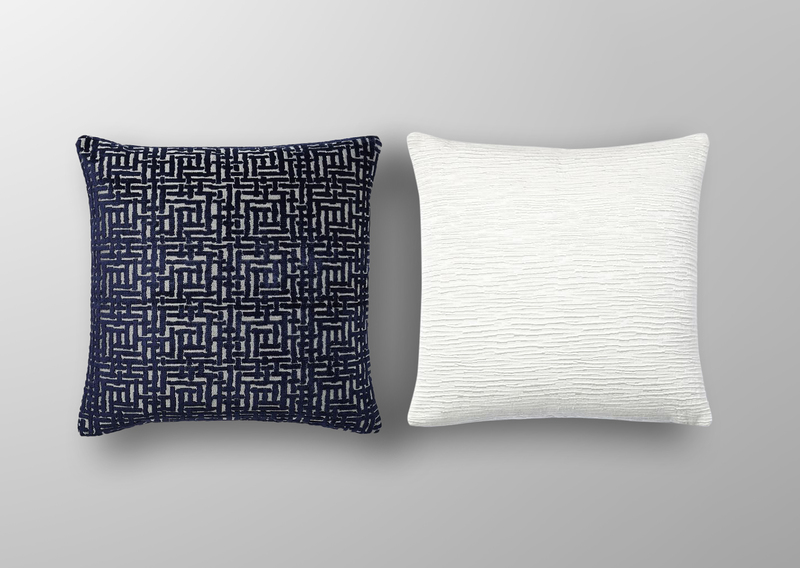 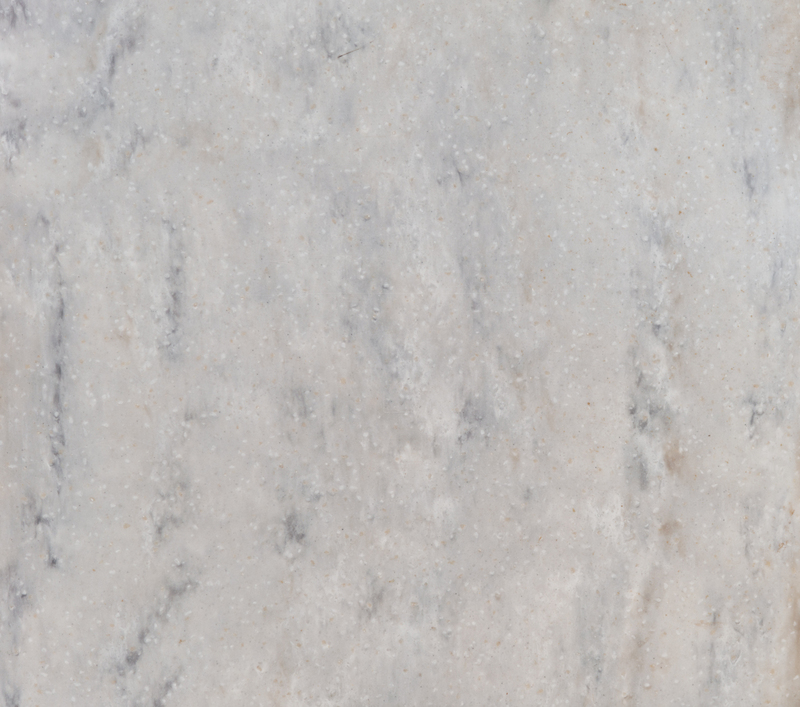 stain resistant, and soft on the feet. 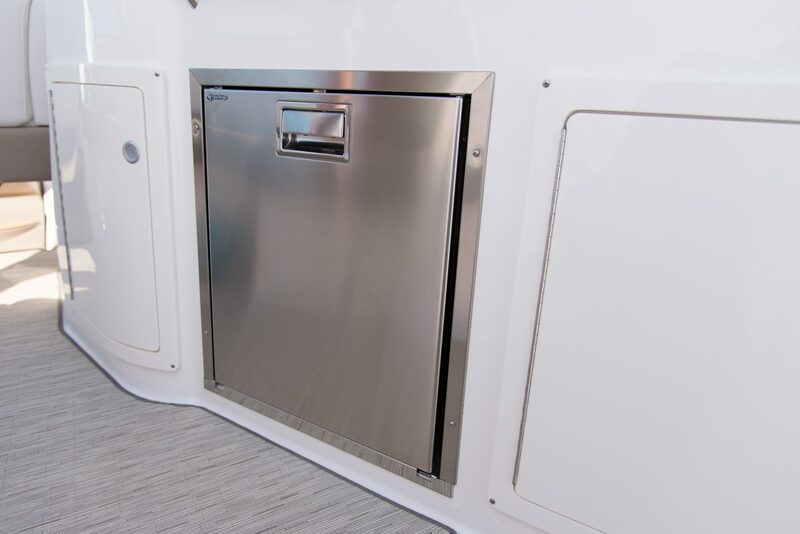 Neatly store all of your belongings in this spacious storage locker. 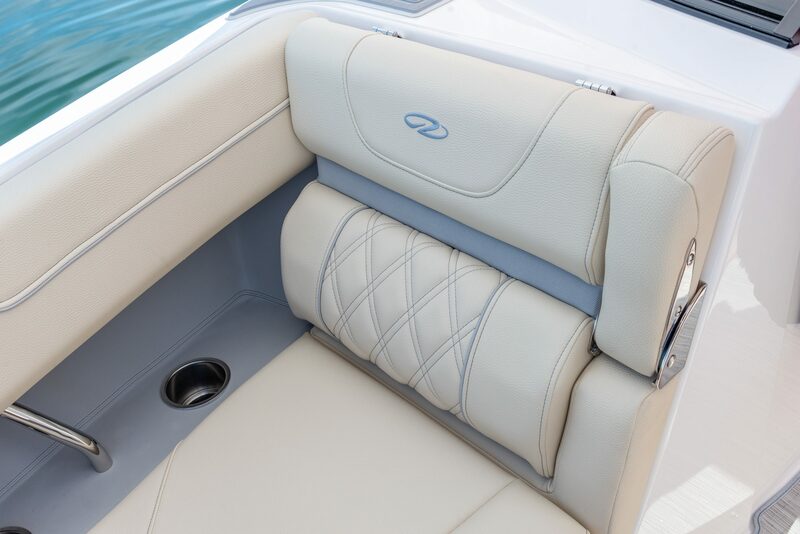 The captain's chair not only has plenty of space for two, but also slides back and forth for ultimate comfort. 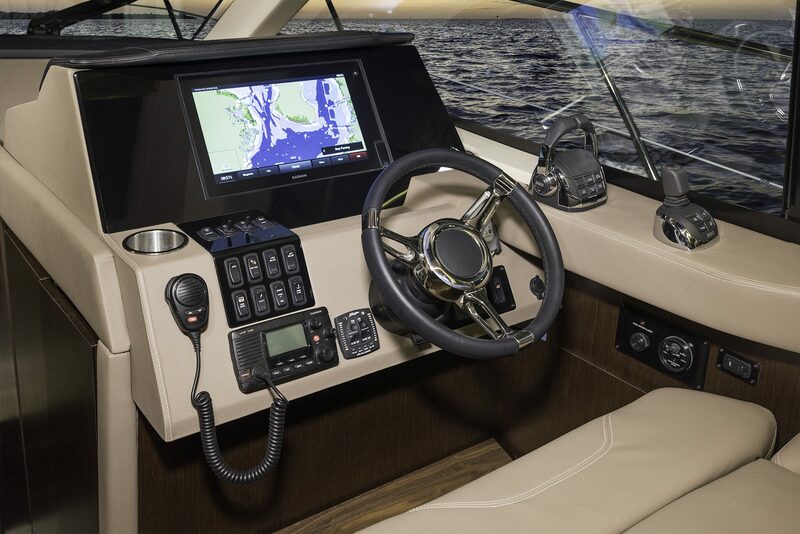 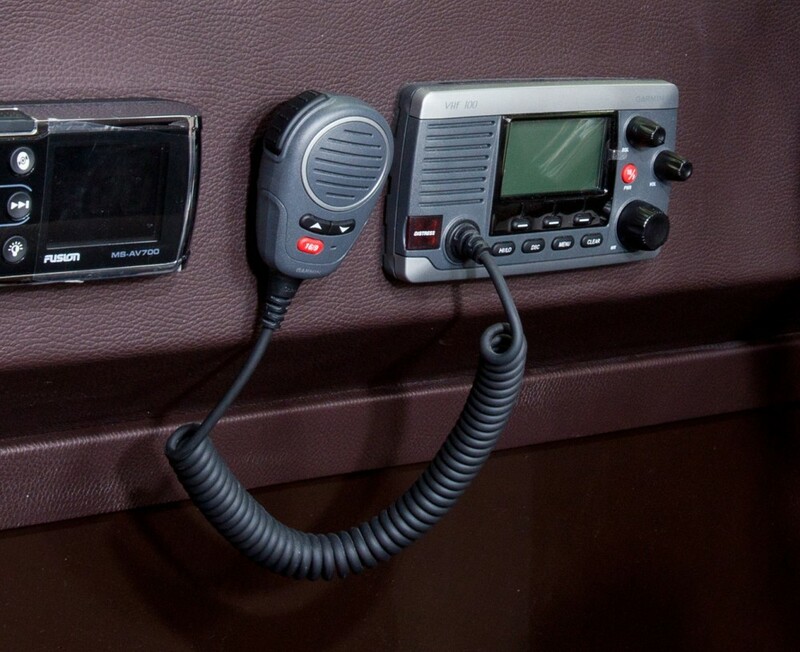 The premium Garmin VHF 100 is perfect for communicating with other boaters and local marinas. 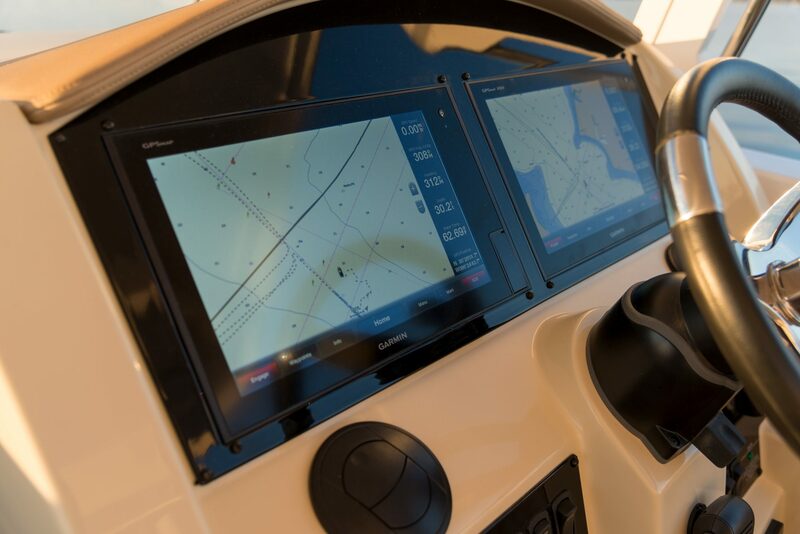 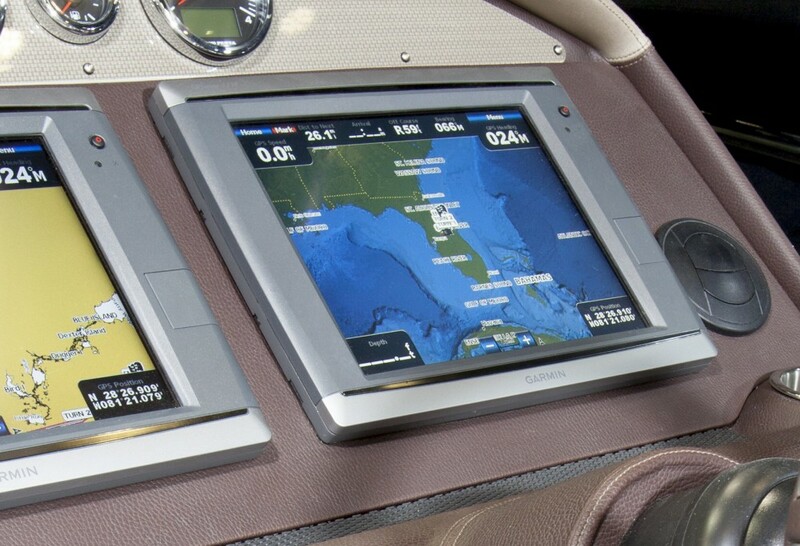 The glass cockpit is an advanced, reliable and user-friendly Garmin interface where all of your instruments and controls are located in one intuitive location. 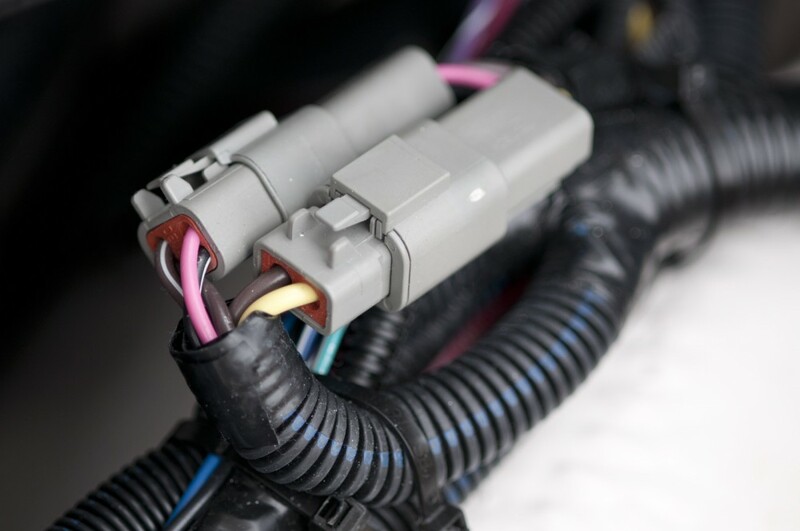 Not only is the keyless ignition system easier, but it also helps prevent theft. 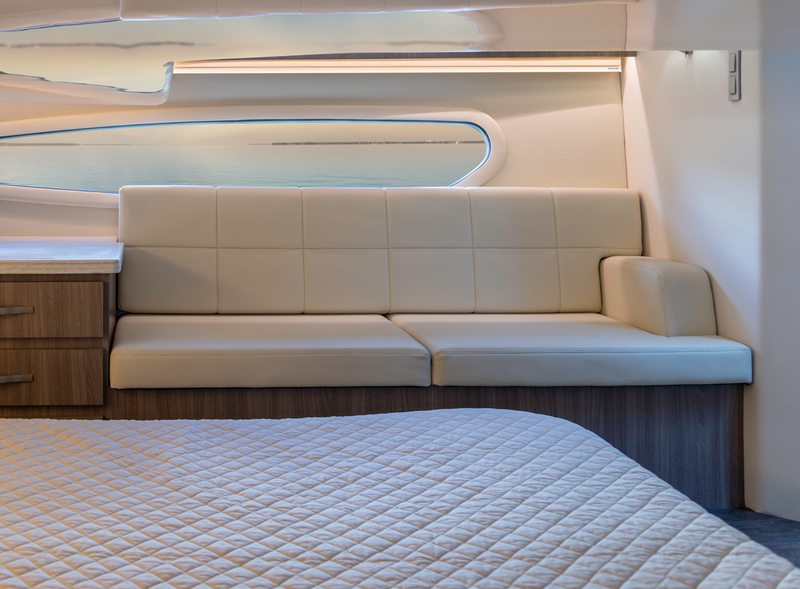 The versatile foredeck chaise lounge has multiple reclining positions including a flat lay down making this the place to be. 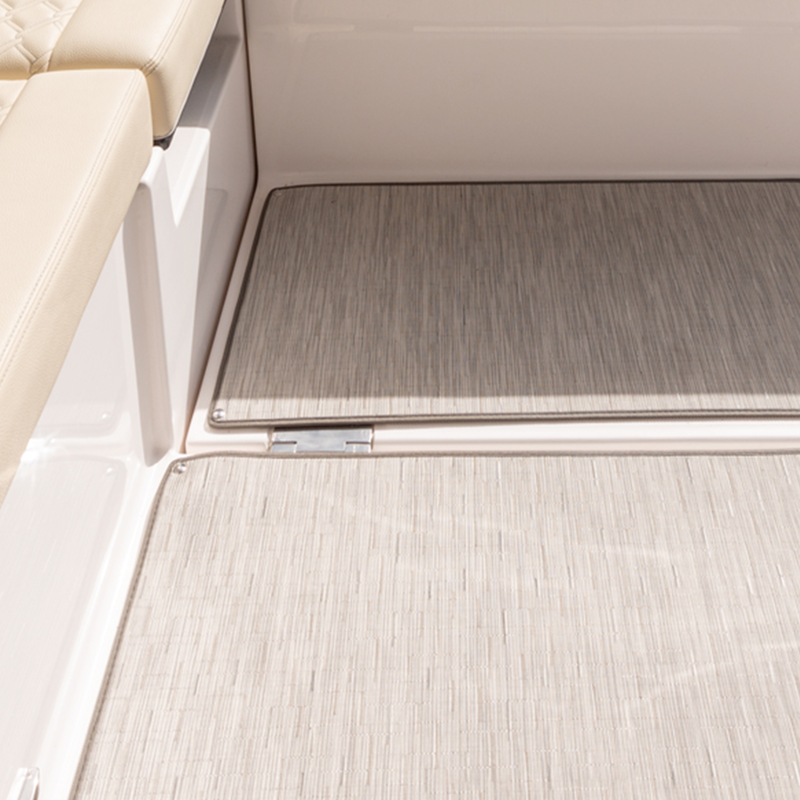 Thoughtfully placed access steps make boarding easy and worry free. 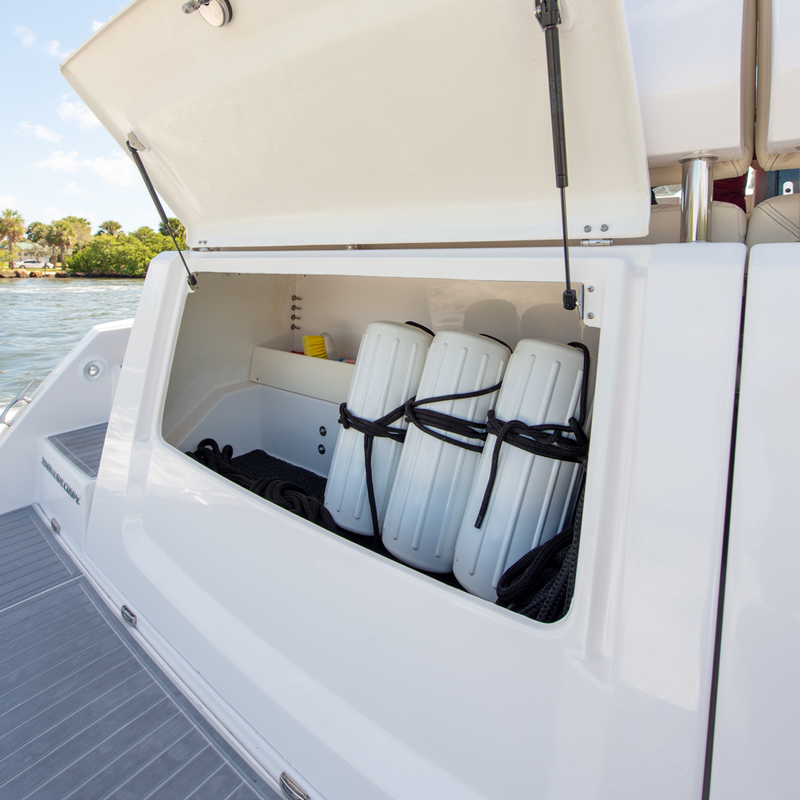 The foredeck locker is perfect for storing lines and fenders. 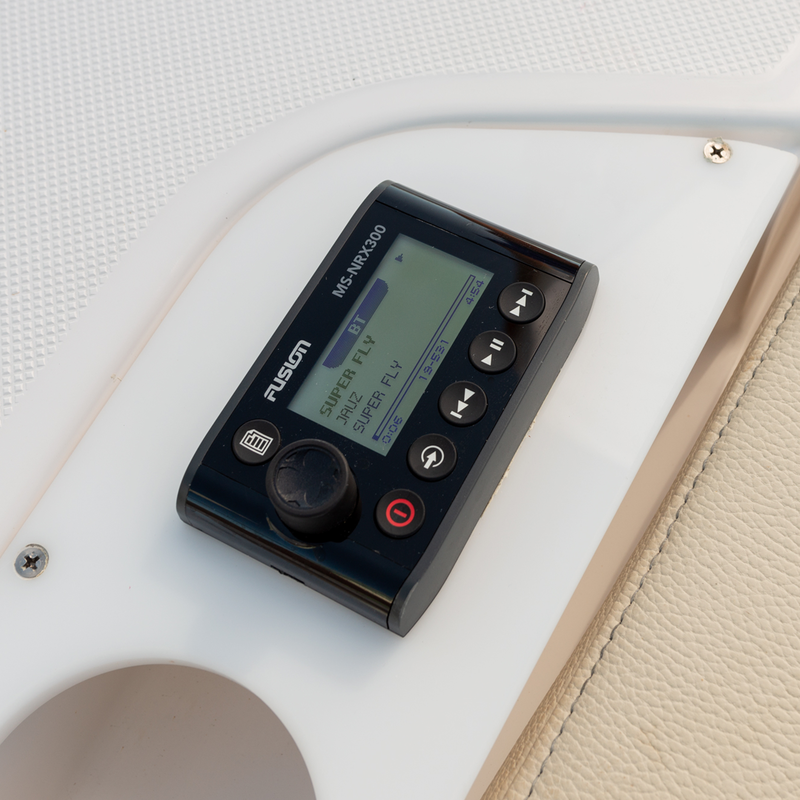 You never have to leave the foredeck to change the tunes thanks to the foredeck stereo remote. 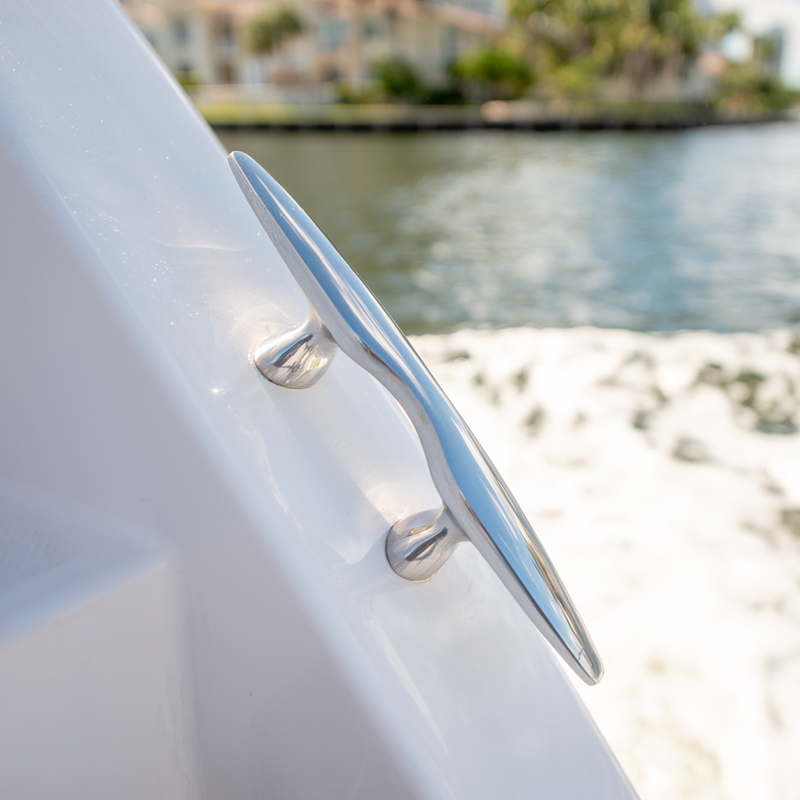 You'll appreciate the standard foredeck wash down when it's time to give your yacht a good scrub. 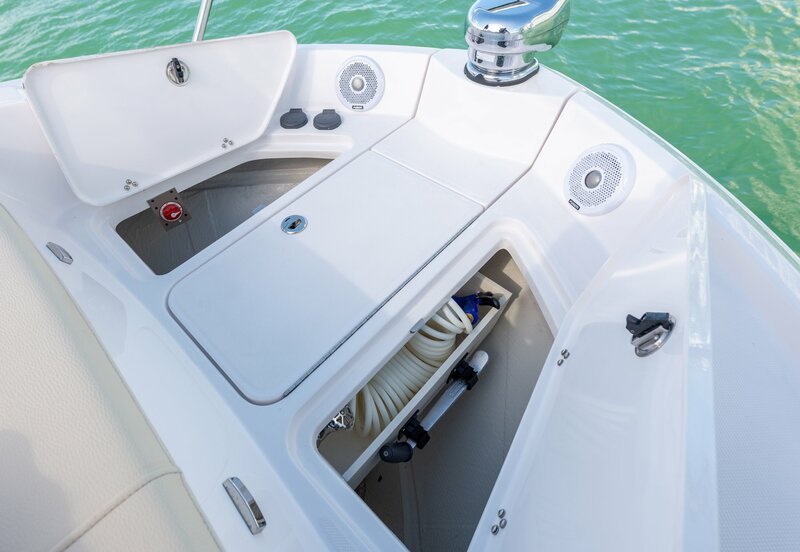 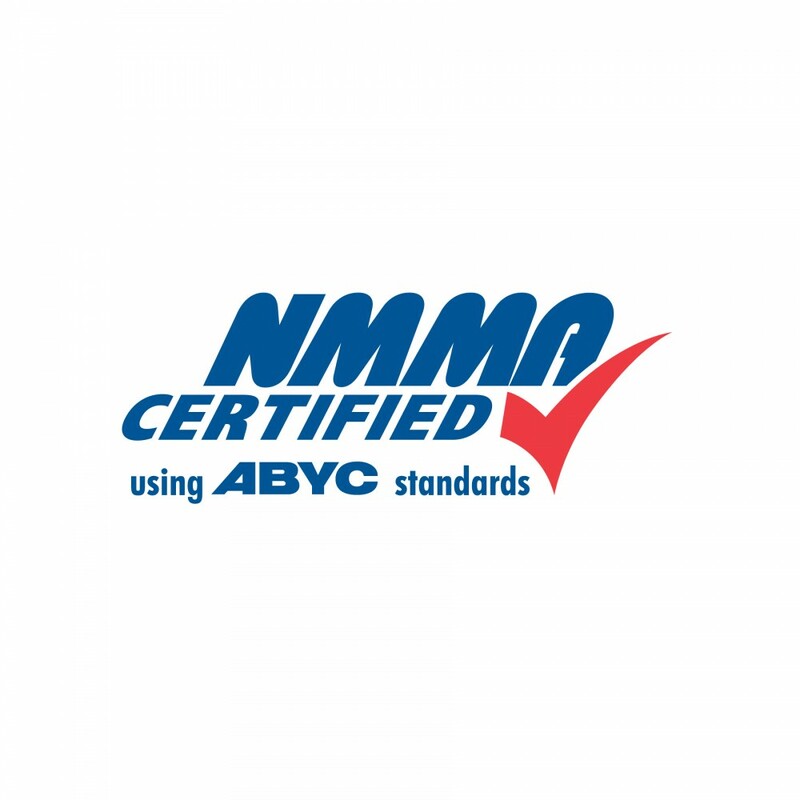 Neatly store away fenders, lines, dock brushes, life jackets and any other boating accessory you may want to bring along. 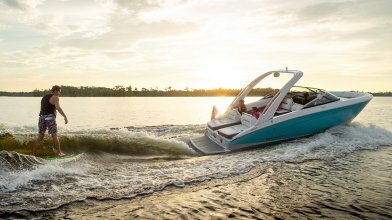 Thanks to the advancements in boat building technology we are able to craft our boats lighter and stronger every single time. 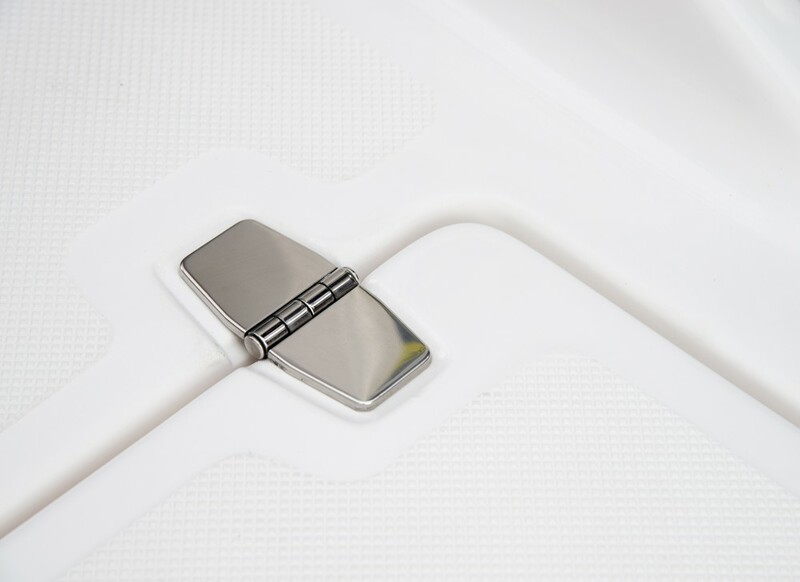 This locking, pivoting transom walk through door is easily transitioned from open to shut. 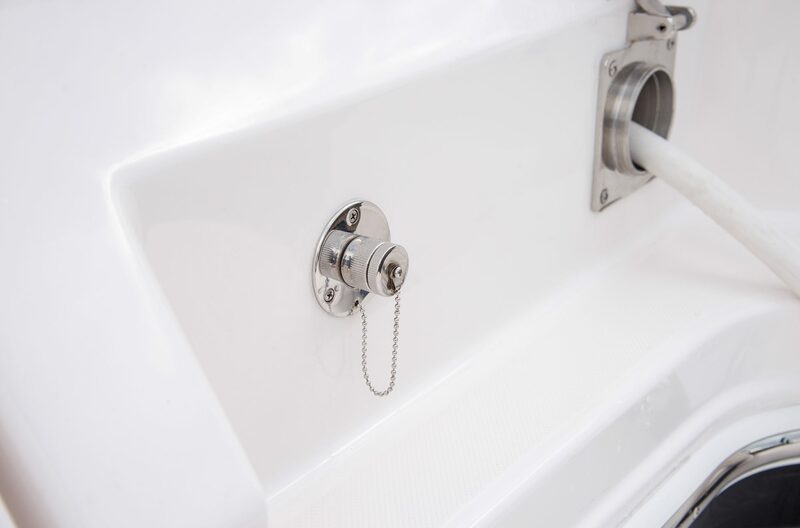 The standard remote controlled anchor windlass makes anchoring and mooring a breeze. 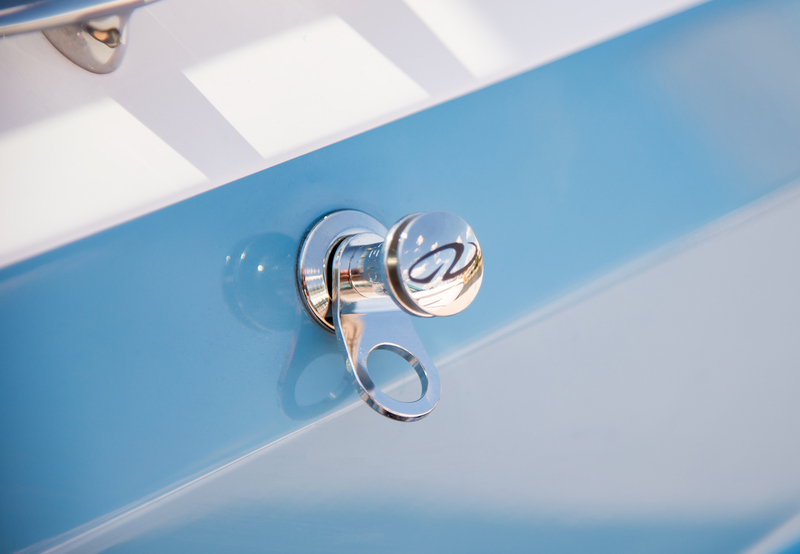 The 38 Grande Coupe features eight 12" stainless steel cleats which won't rust or break over time. 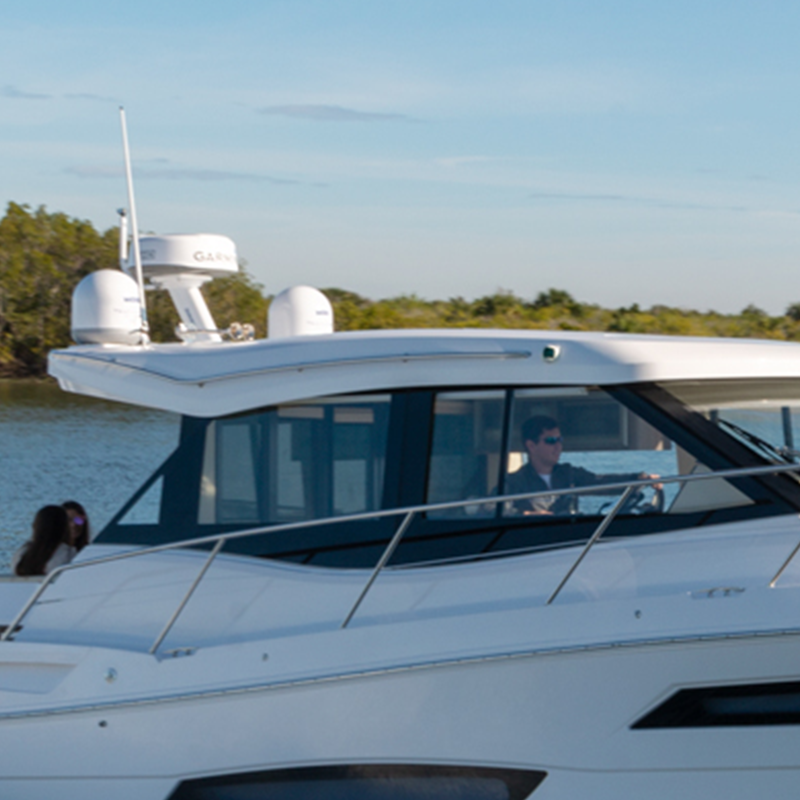 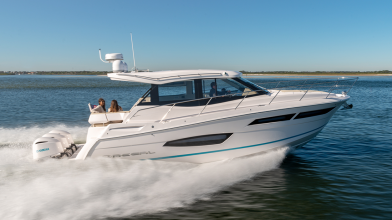 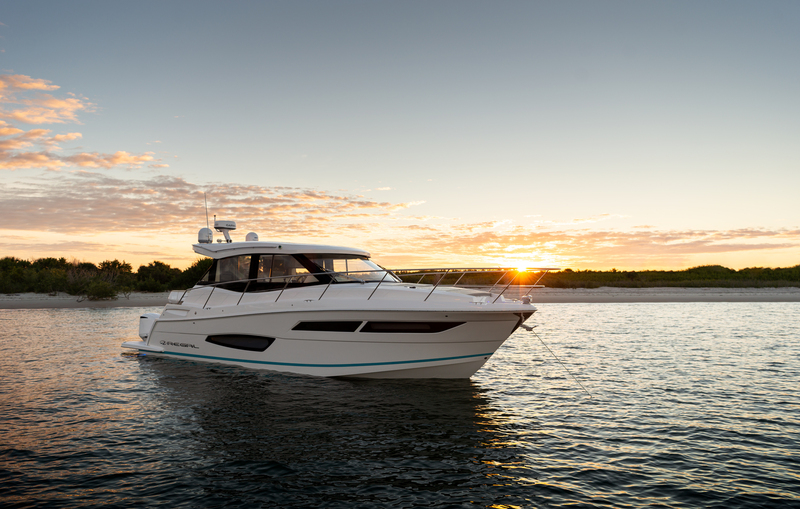 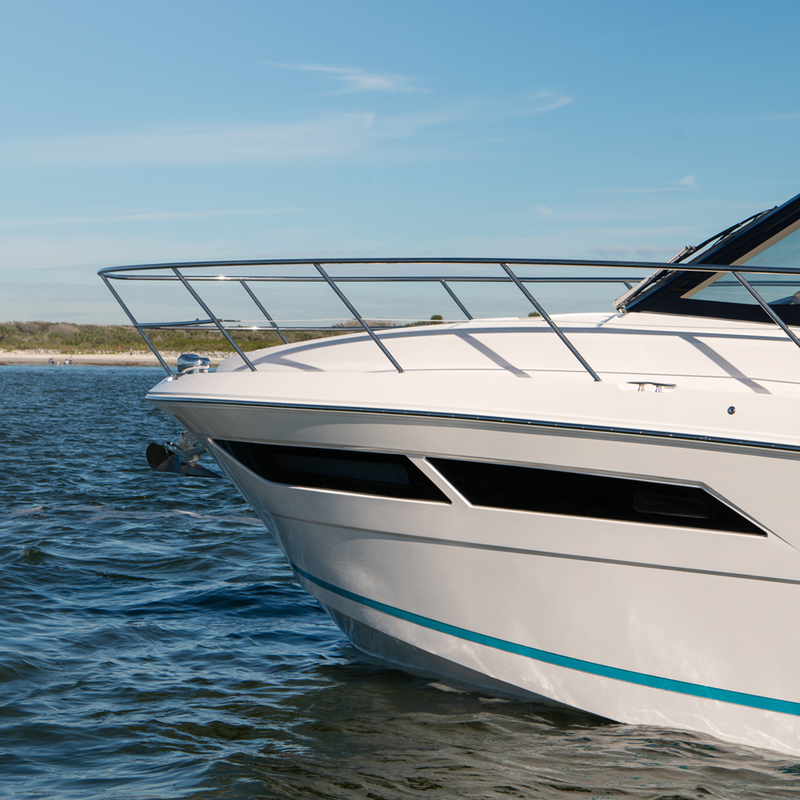 The bow rail adds style and function to the foredeck of your 38. 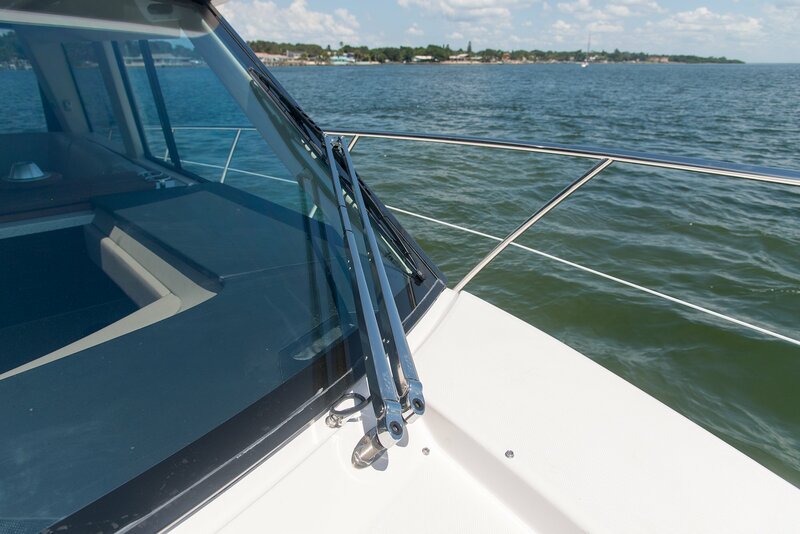 These stainless grab rails make moving forward and aft a breeze. 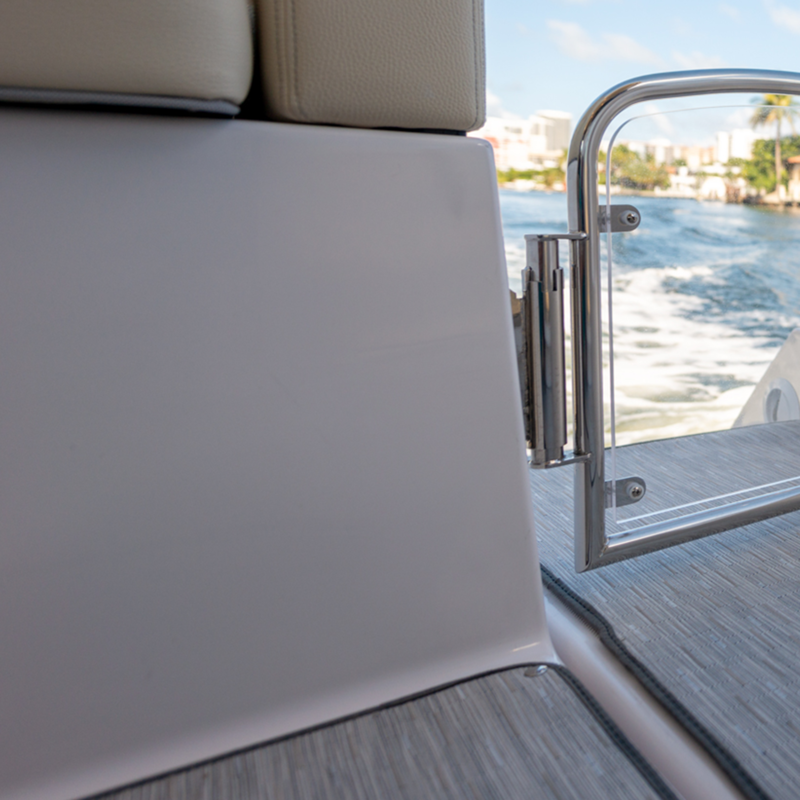 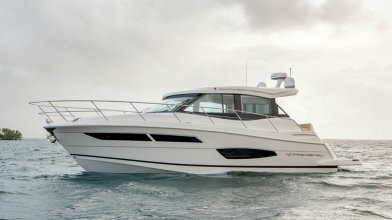 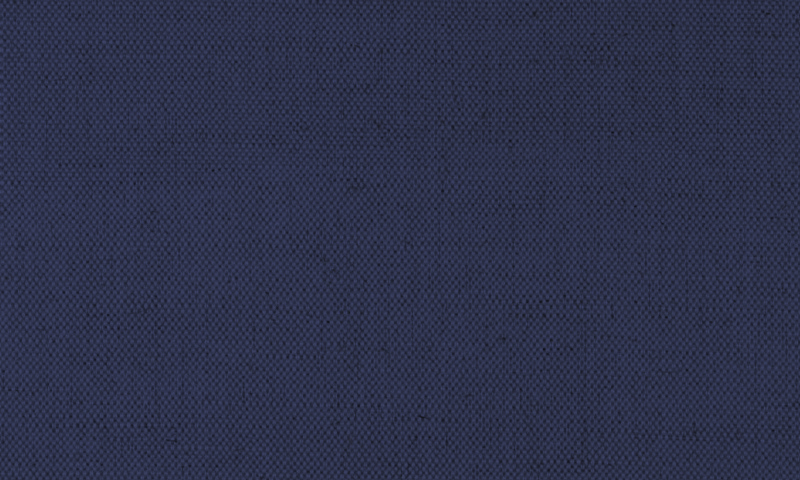 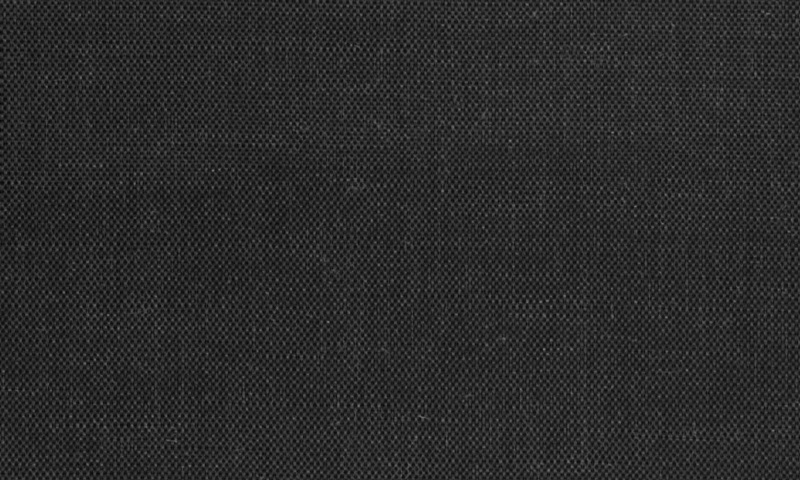 If you're looking to keep the sun off the aft upholstery or cool the entire cockpit, the palm beach cover is perfect for the job. 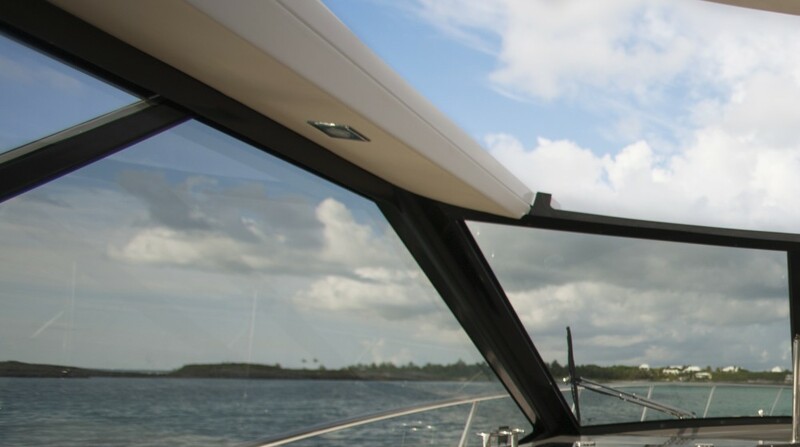 The windshield wipers will keep you cruising in all weather. 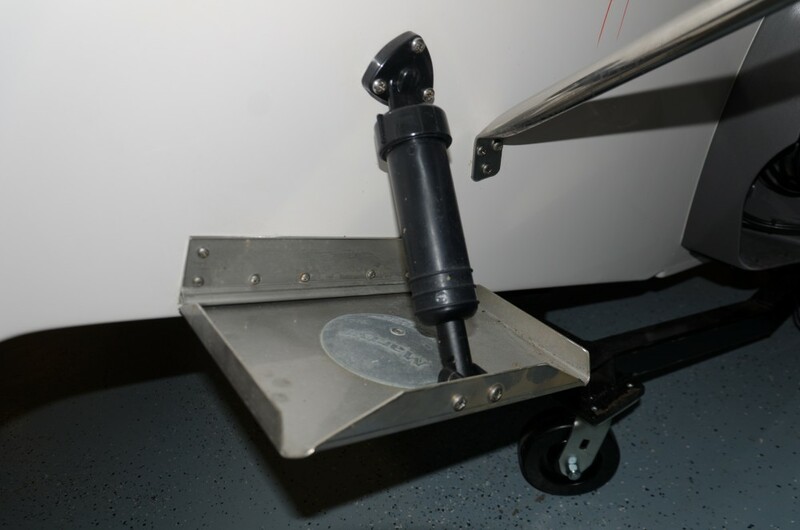 Be sure to keep your foredeck sunlounge clean.